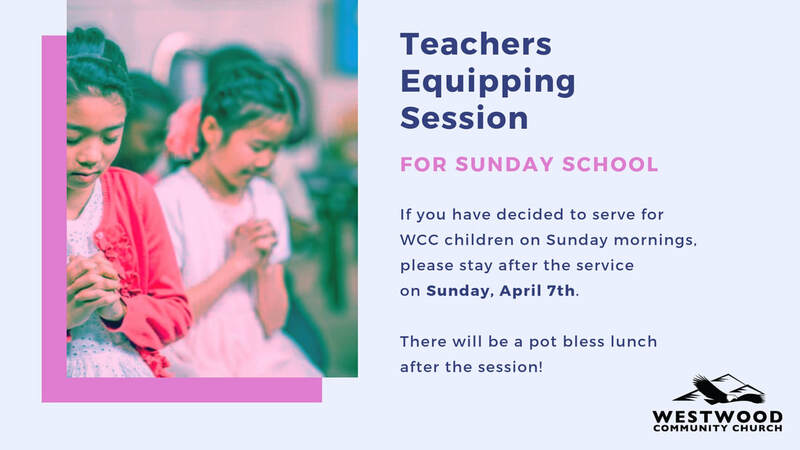 There will be a Teachers Equipping Session for Sunday School on Sunday, April 7th. ​Please stay after the service; there will also be a pot bless lunch afterwards. There is a special conference for our Iranian Brothers & Sisters at WCC at the end of this month. 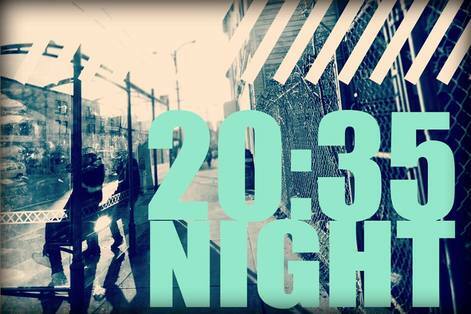 It will be 6pm to 9pm on Friday March 29th & 2pm to 9pm on Saturday, March 30th. You are all welcome to join on the Friday evening when Pastor Giulio will be speaking! He will be speaking for the first session of the evening & we will have Brother Rafi Shahverdyan speaking in Farsi for the second session. No English translation will be provided for messages in Farsi during the entire conference. 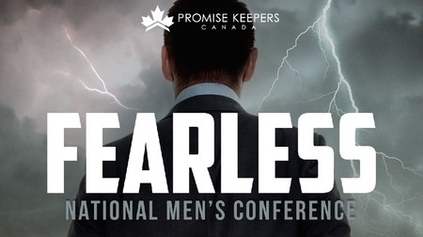 There is a Men's Breakfast on Saturday, March 23rd at Church. ​Please sign-up at the info table. 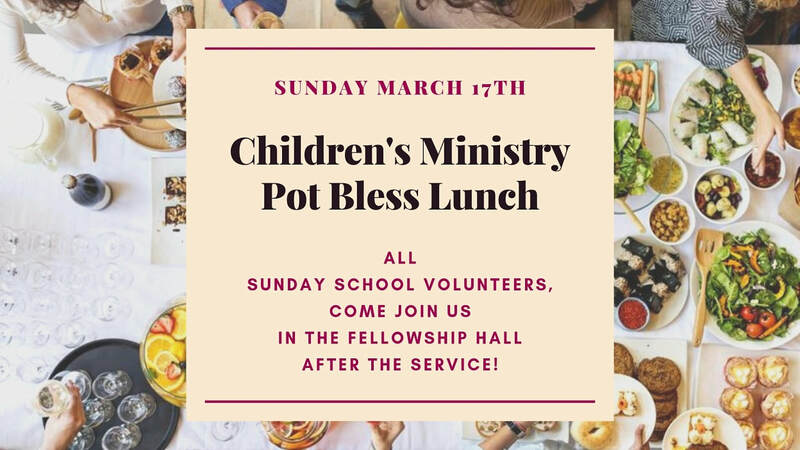 There will be a special pot bless lunch for all Sunday School teachers & volunteers! 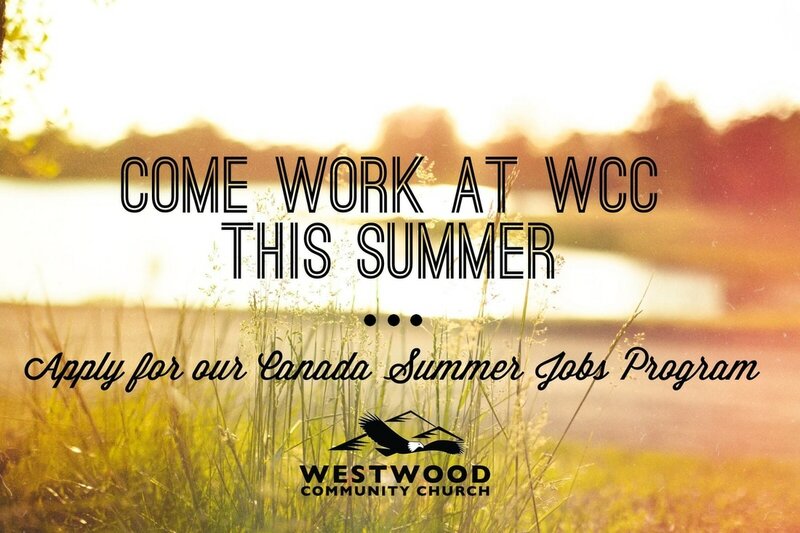 ​If you have a passion to serve for WCC children in the future, please feel free to join us! 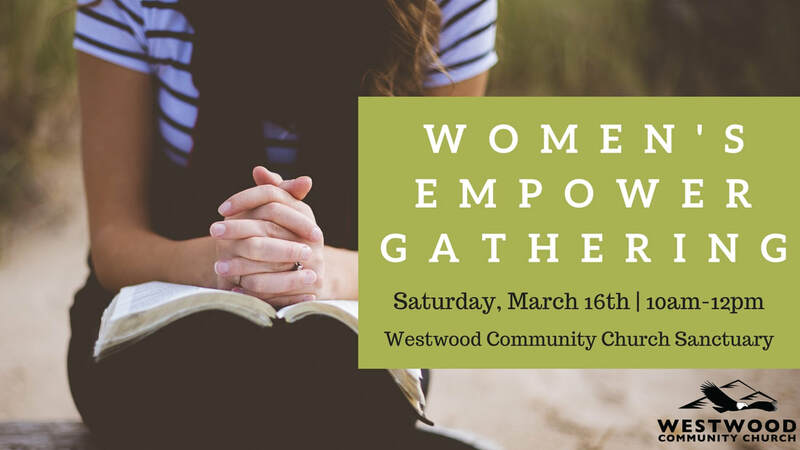 ​Our Empower Women’s Gathering starts at 10am, sharp on Saturday, March 16th. Please come early for a time of fellowship and light refreshments before the meeting starts. 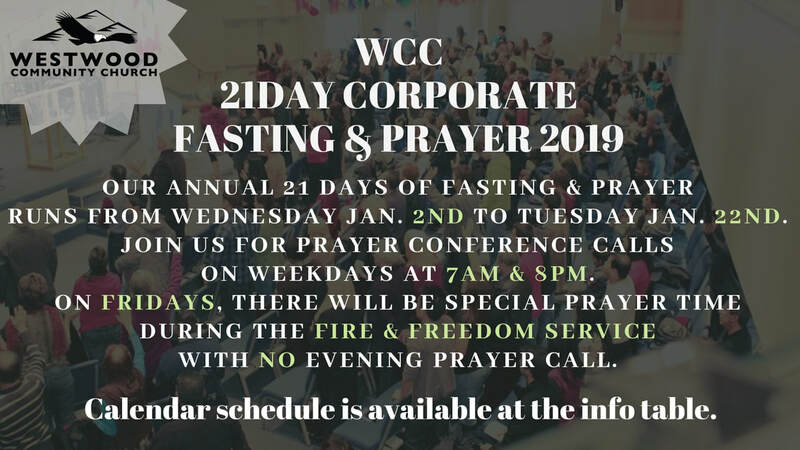 ​Our annual 21 Days of Fasting & Prayer will start on Wednesday, January 2nd in the upcoming year of 2019. Schedule is available at the info table. 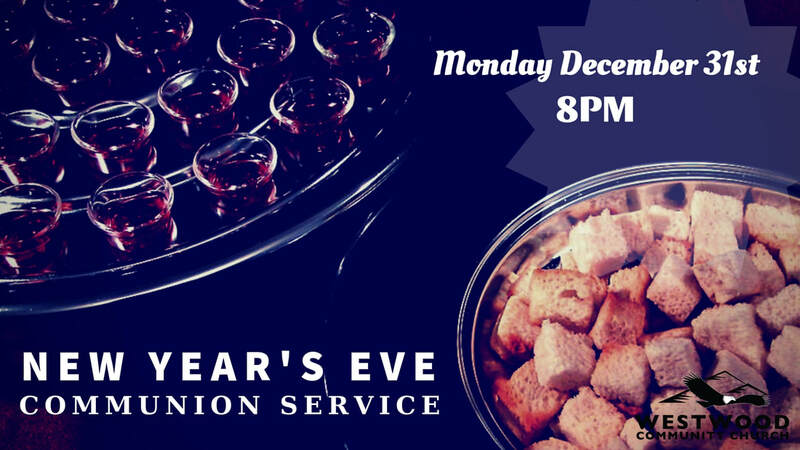 ​Our annual New Year’s Eve Communion Service will be on Monday, December 31st. Come join us at 8pm. ​Please note that church office will be closed. Sunday, December 23rd will be this year's Christmas Candlelight Service. Come join us at 10:30am. 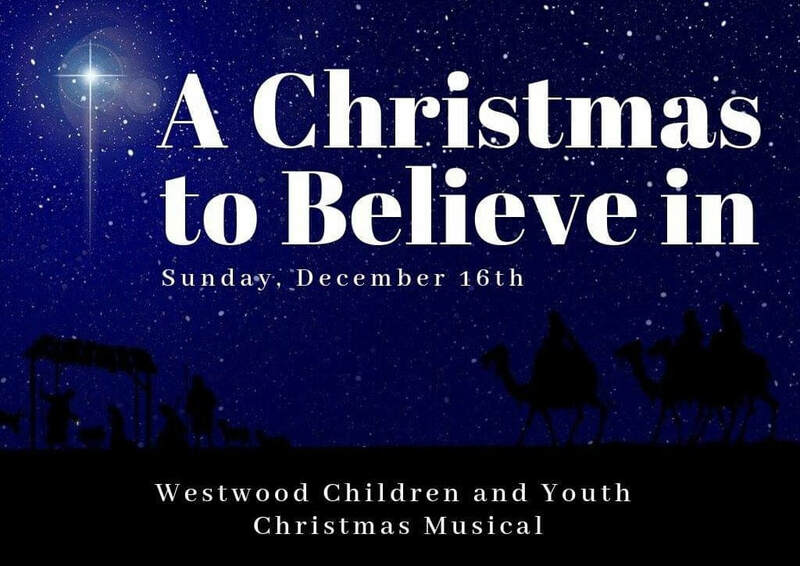 ​Westwood Youth & Children will be having a special musical, entitled A Christmas to Believe in for this year’s Youth Christmas Service! Come join us at 10:30am on Sunday, December 16th. 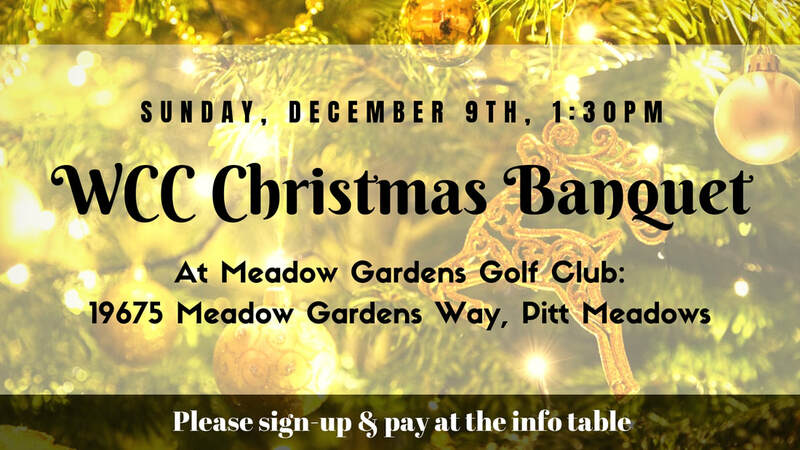 Come join us at the annual Christmas banquet! 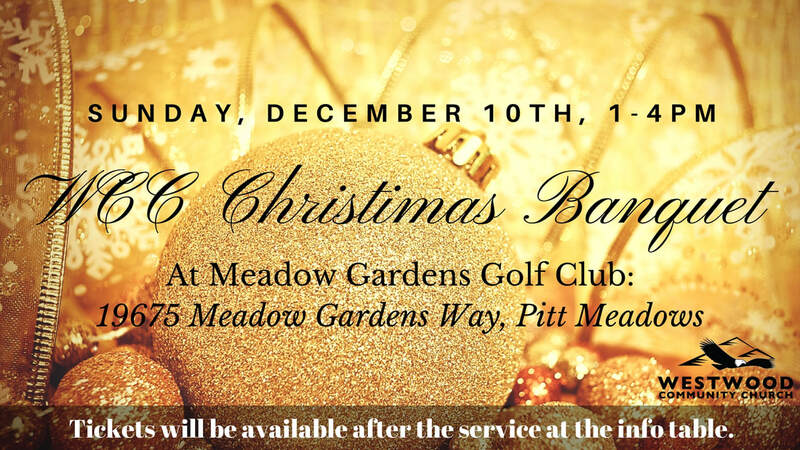 It will be at the Meadow Gardens Golf Club! Tickets are available on Sundays after the service. 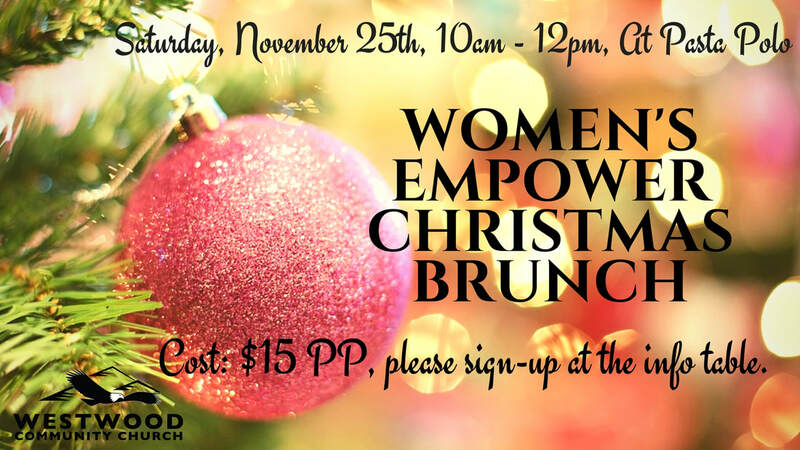 Women's Empower Christmas Brunch: Joy Unspeakable! 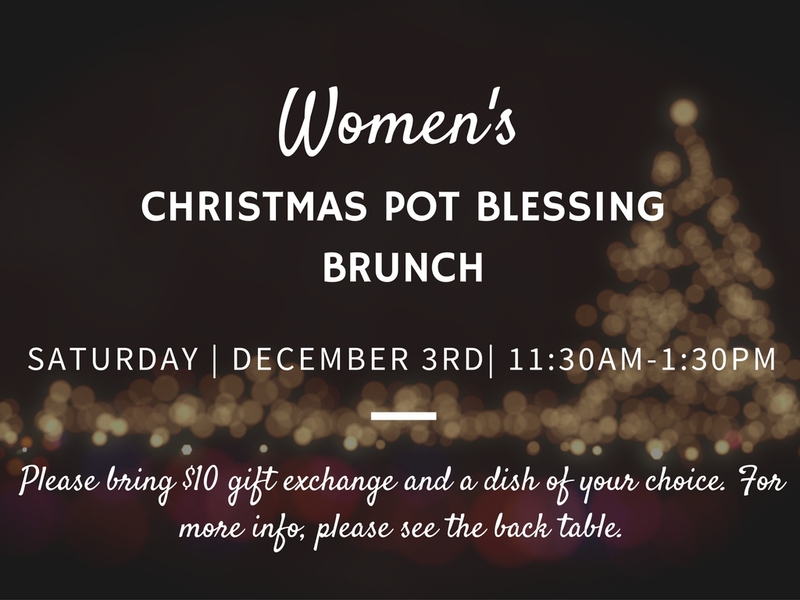 Ladies, you are all invited to this special Christmas brunch! 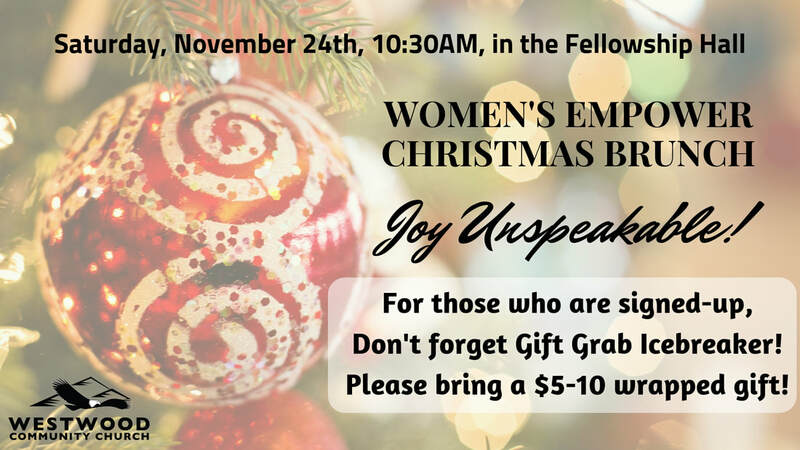 We will have a Special Speaker & Gift Grab Icebreaker! 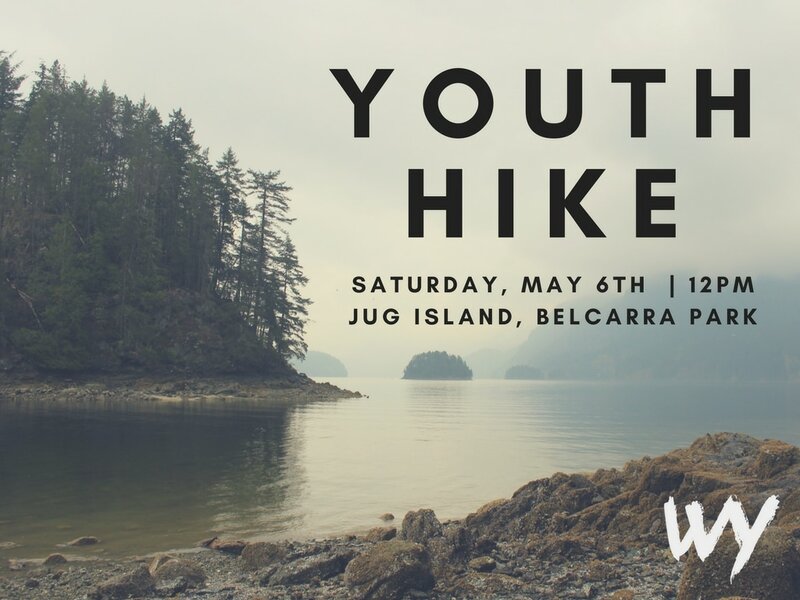 ​Please sign-up & pay at the info table. 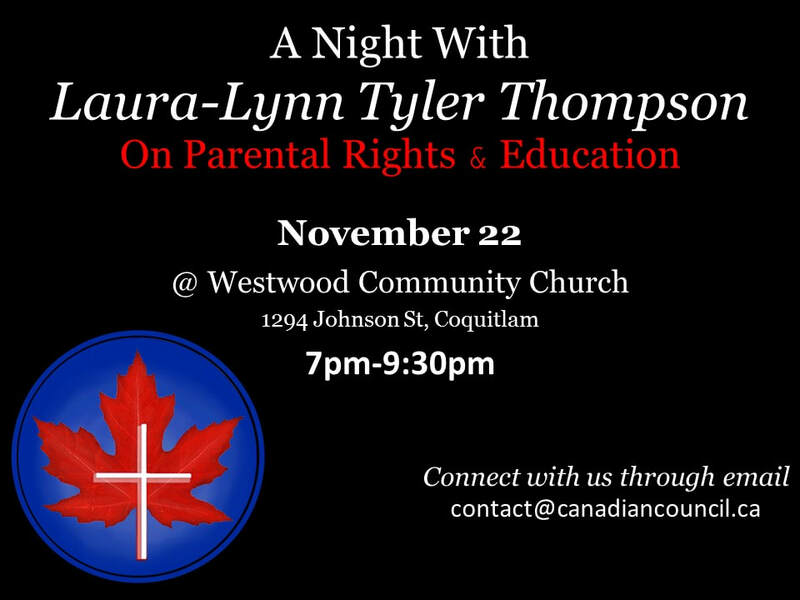 ​On Thursday, November 22nd, Laura-Lynn will be at WCC to speak on Parental Rights & Education. Come join us at 7pm. 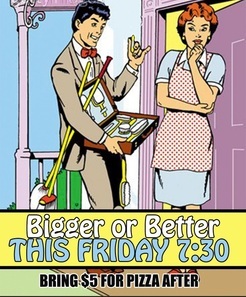 Invite a friend or neighbour for this special service! 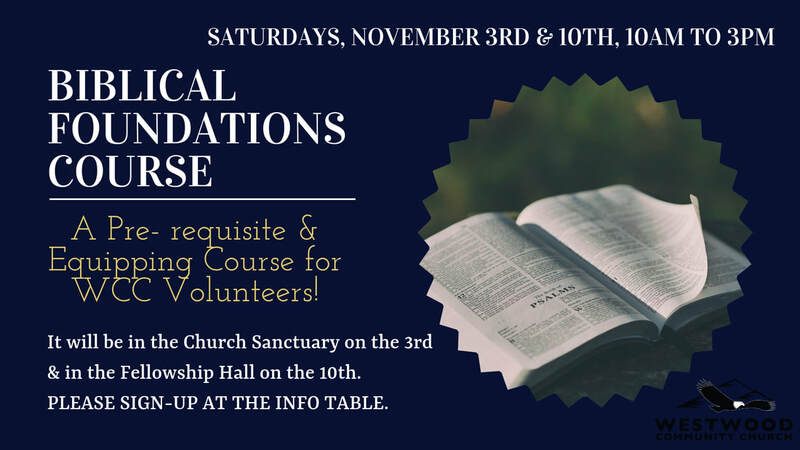 Join the family of God at WCC for this special bi-annual course, it is a Pre-requisite & Equipping Class for Volunteers! It will be in the Church Sanctuary on the 3rd & in the Fellowship Hall on the 10th. Light lunch & refreshment will be provided. Please sign-up at the info table. 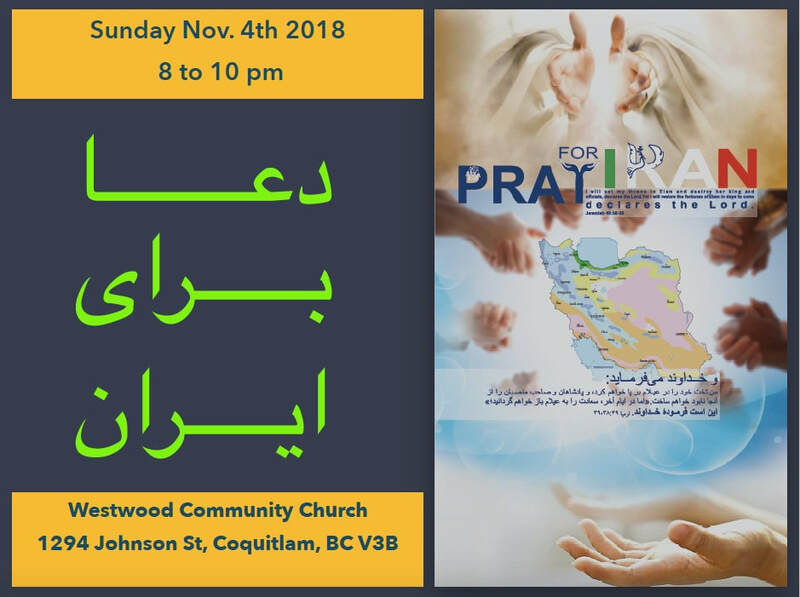 On Sunday, November 4th, WCC Iranian Ministry will be joined by other Churches in the area. They will gather in WCC Sanctuary for a time of corporate prayer for Iran in midst of a relationshp crisis with other nations. 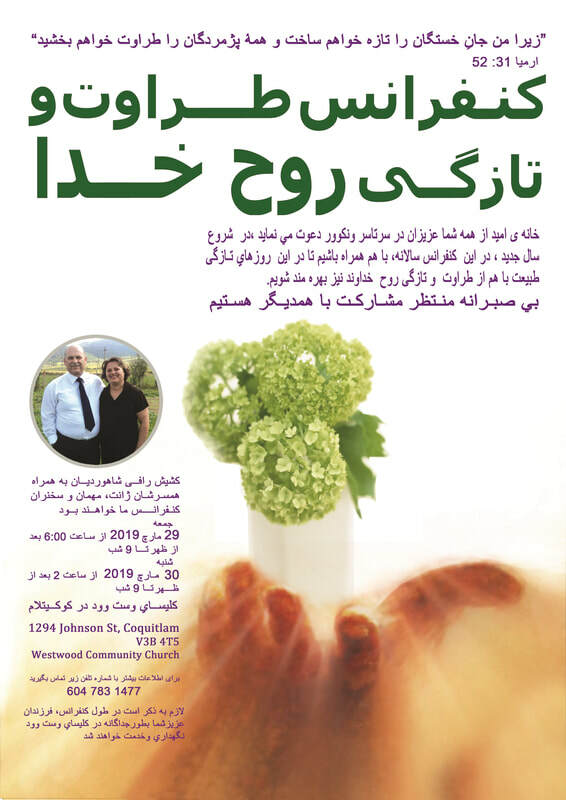 It will be in both Farsi & English; everyone is welcome! 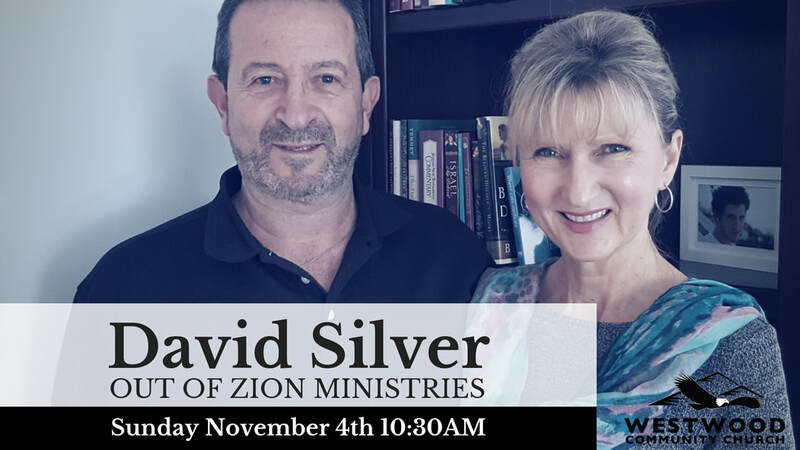 On Sunday, November 4th, we will have a special guest speaker, David Silver from Out of Zion Ministries. 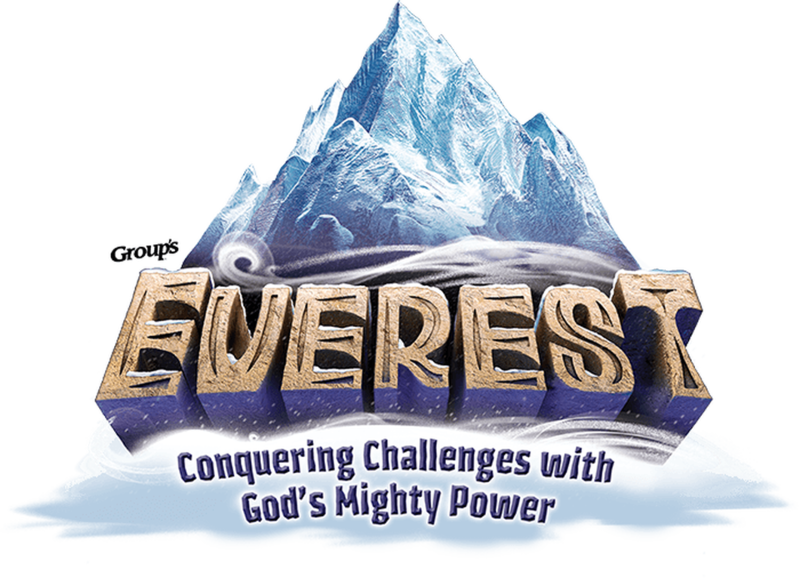 ​​Children (Ages 4 to 11) at WCC are invited to Fall Fantastic! 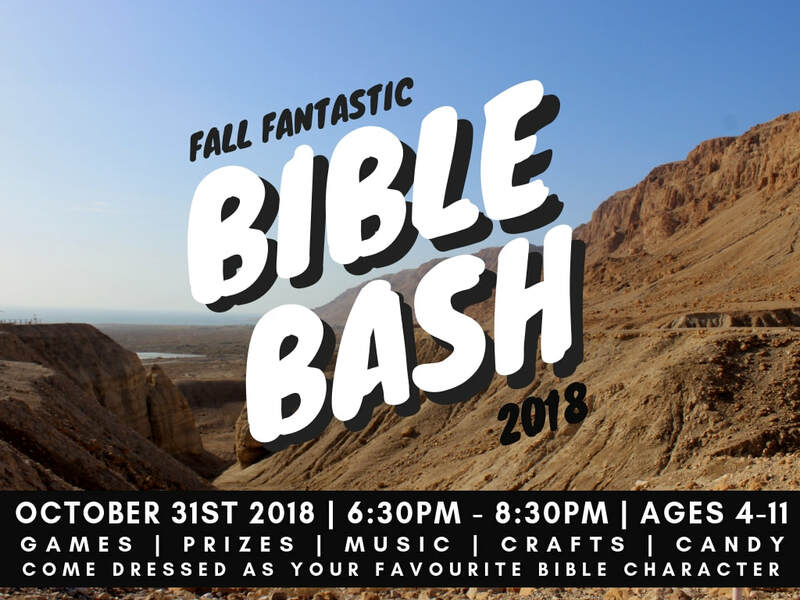 Come to church on the evening of October 31st, dressed as your favourite Bible character! 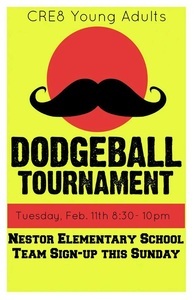 There will be Games, Prizes, Music, Candy and much more! 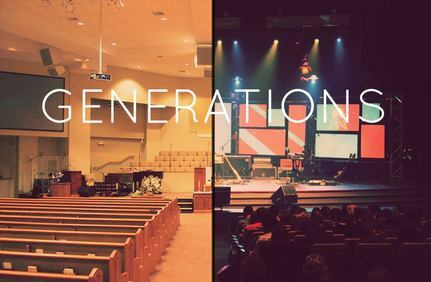 Young adults, come join us downstairs in the Fellowship Hall after the service on Sunday, October 28th! Bring your favourite dish for this special potluck lunch! 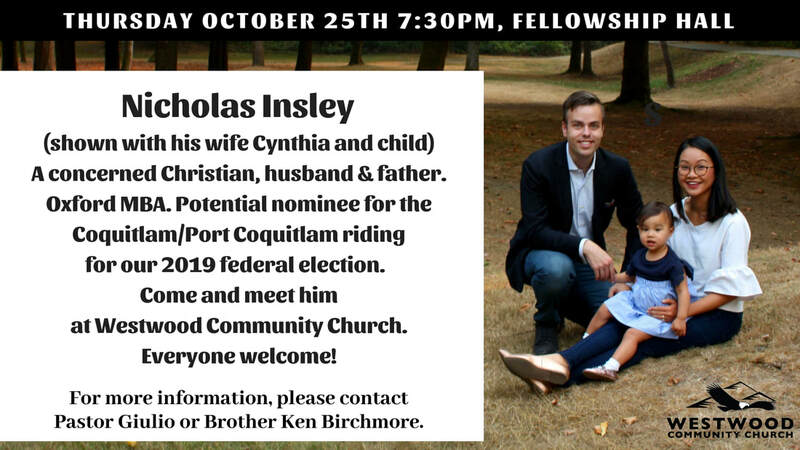 On Thursday, October 25th at 7:30pm, Nicholas Insley (with others) will be speaking at our Fellowship Hall. This young Christian man is a candidate for the Conservative nomination to become a member of parliament in the 2019 federal election, representing the Coquitlam/Port Coquitlam riding. Everyone is invited to this free event, regardless of the electoral riding that you live in. 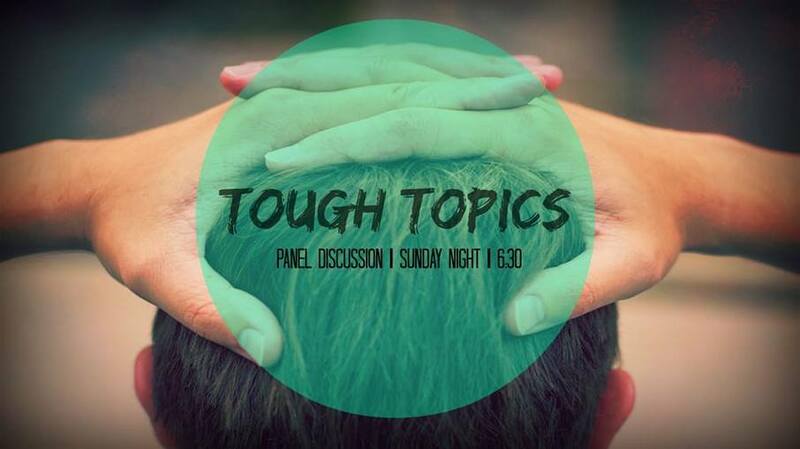 Come and listen to someone who shares the core values of our Church. For further information contact Pastor Giulio Gabeli or Brother Ken Birchmore. 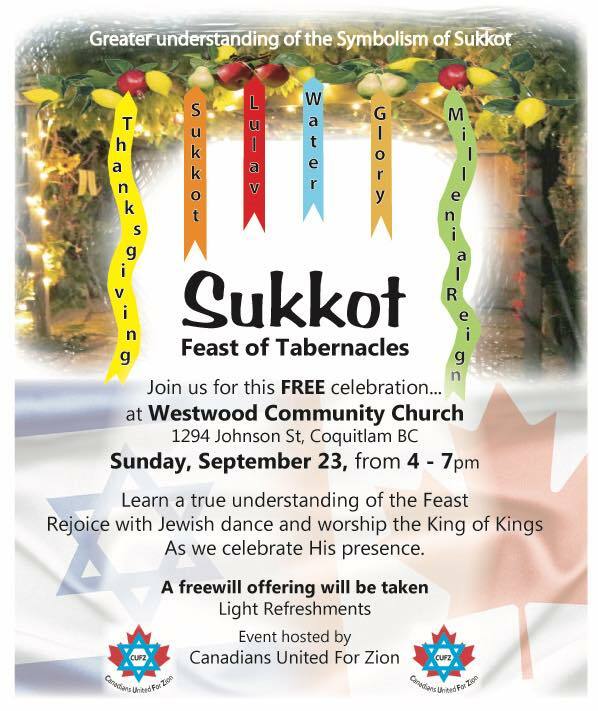 Join us for this FREE celebration at WCC on Sunday, September 23rd! Learn a true understanding of the Feast & Rejoice with Jewish dance & worship the King of Kings as we celebrate His presence! 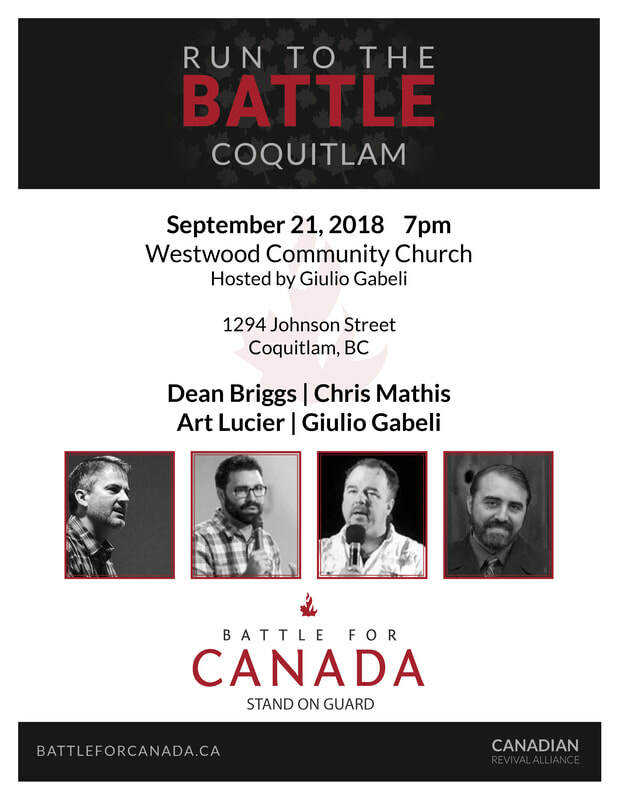 Canadian Revival Alliance will be here at WCC for the West Rallies on Friday, September 21st. For more info, visit Battle for Canada website at http://battleforcanada.ca. Please note that now-weekly Fire & Freedom Service will not take place this day. 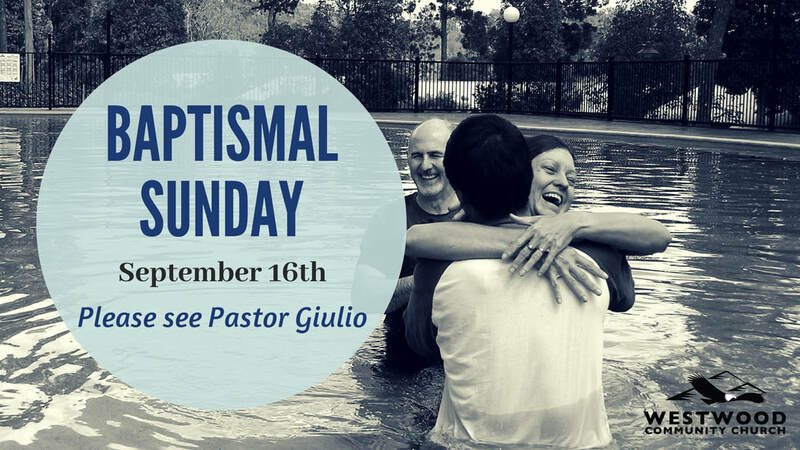 ​On Sunday, September 16th, we will have a Baptism for those who are declaring their faith in Christ publicly. 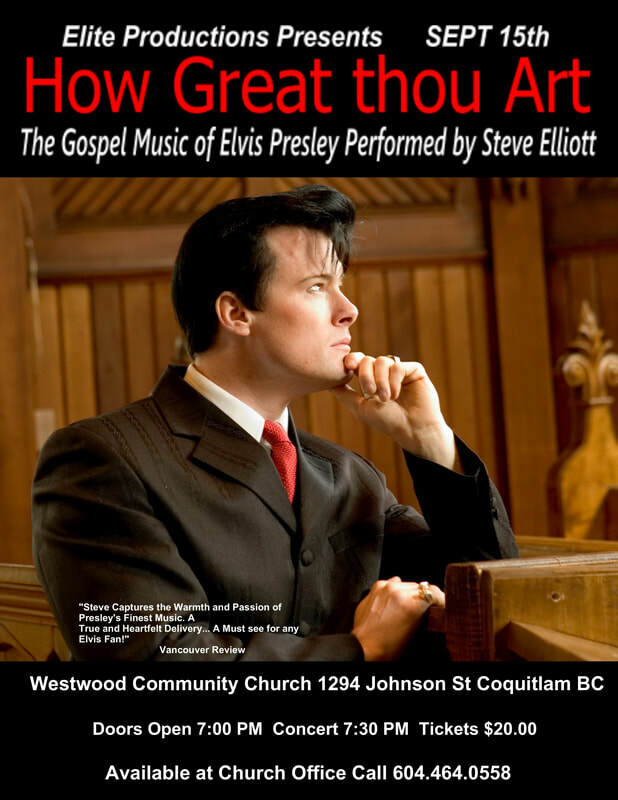 In September, there will be a special Gospel Concert at WCC, featuring Steve Elliott as Elvis. Tickets will be available after Sunday morning service or visit church office during office hours. ​On Saturday, September 15th, at 10am Sharp, at WCC! 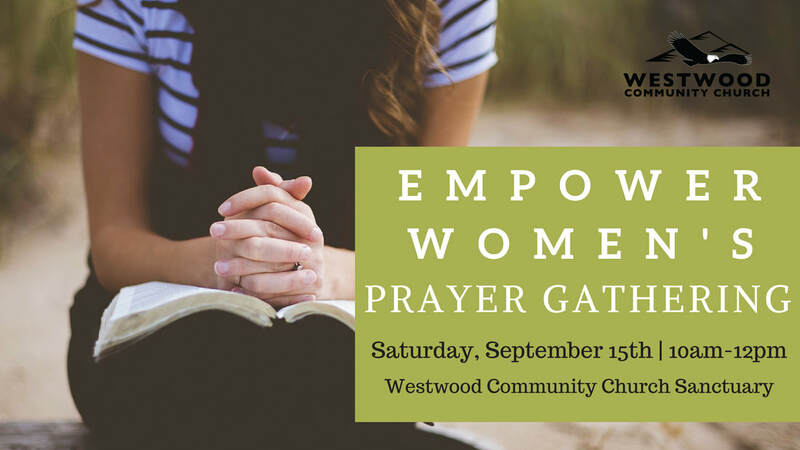 Ladies, come join us as we recommence our Empower Word gatherings for a special time of prayer, worship, and a timely word! 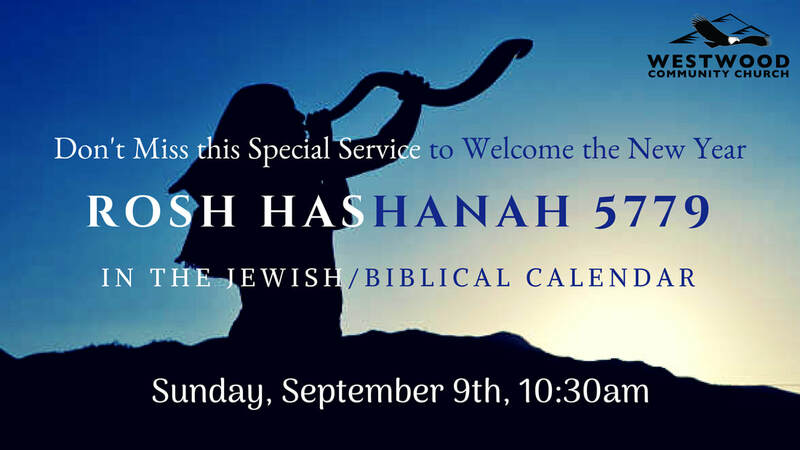 ​On Sunday, September 9th, there will be a special service to celebrate Rosh Hashanah 5779, Jewish/ Biblical New Year! 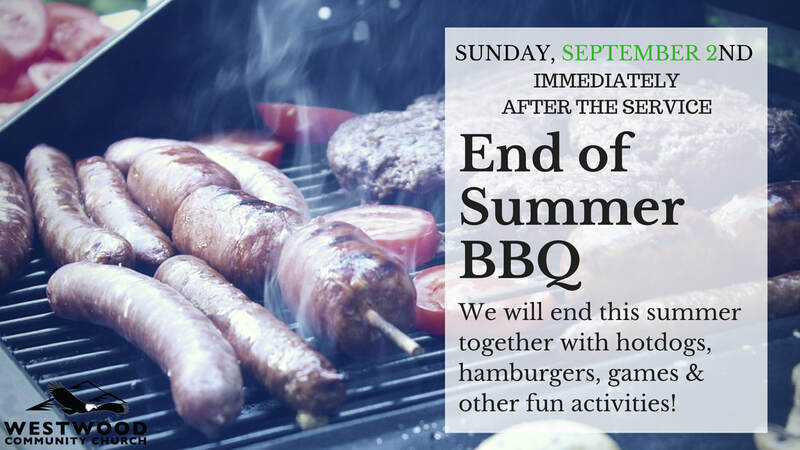 ​Every year, we hold a special BBQ with games and outdoor activities to end the summer together! Come join us on Sunday, September 2nd and stay with us after the service! ​There will be a special event at WCC on the evening of Wednesday, August 29th. 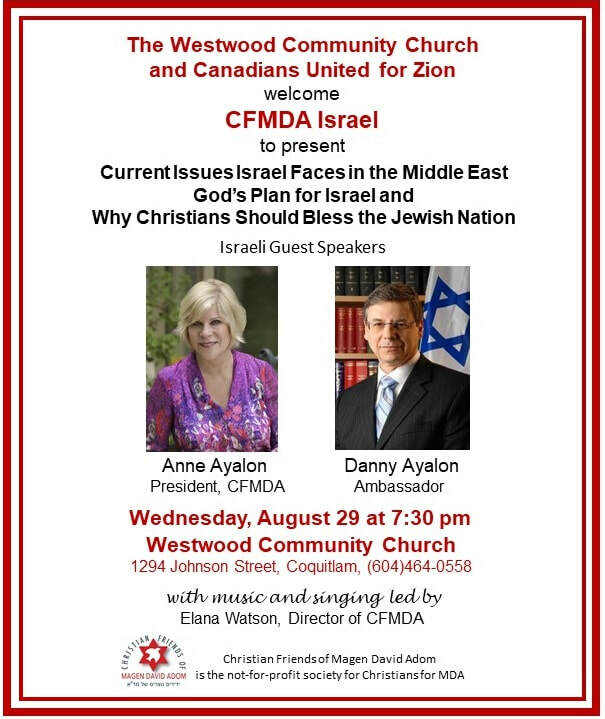 We will have two guest speakers from Israel, Anne & Danny Ayalon, representing CFMDA Israel. ​Come join us at 7:30pm. 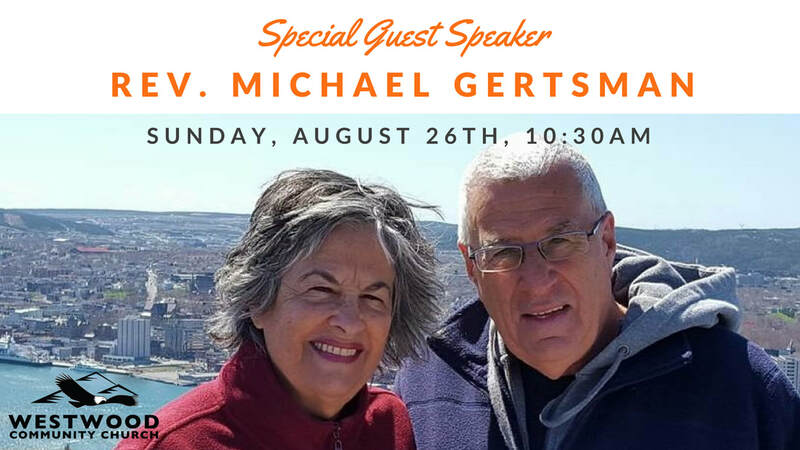 On Sunday, August 26th, we will have a special guest speaker, Rev. Michael Gertsman. 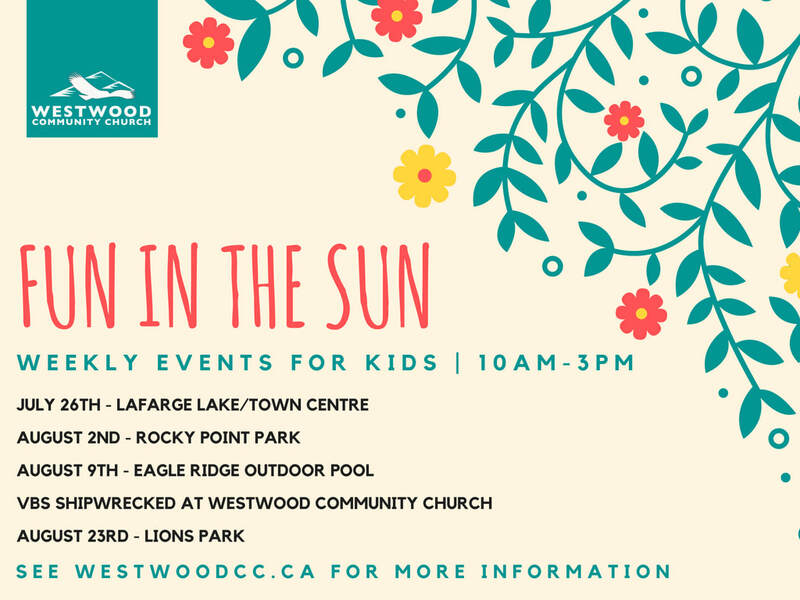 We have a series of weekly events for Kids this summer! Contact Meredith Lopez if you have questions; call church office for contact information. 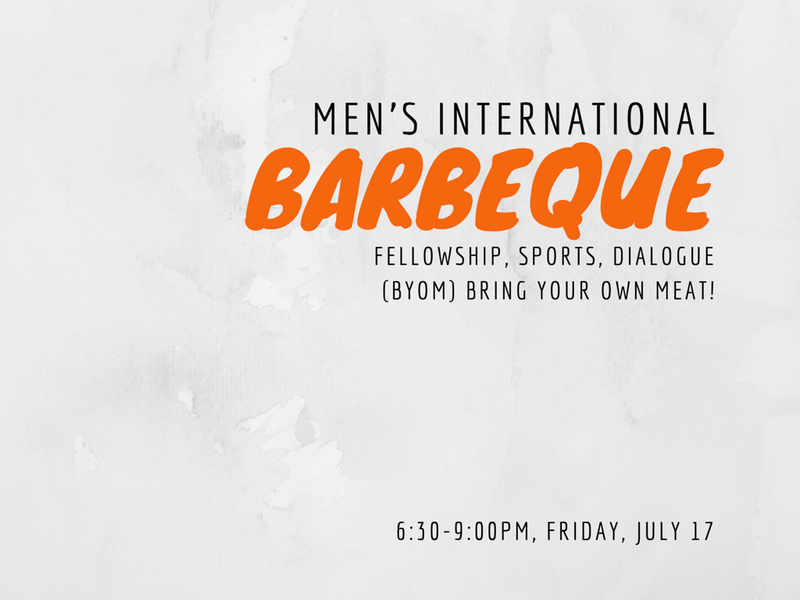 We will be having a special summer event for The West: Young Adults. 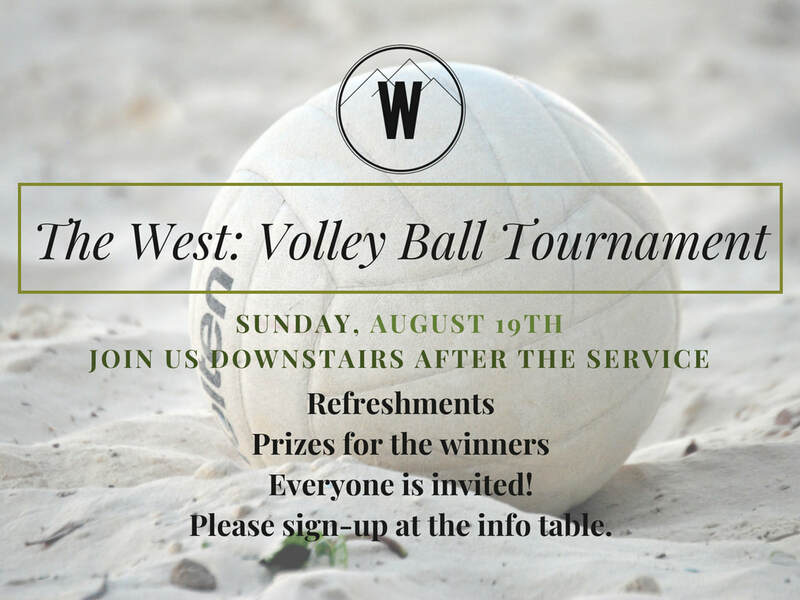 ​Come join us immediately after the service on August 19th, everyone is welcome! 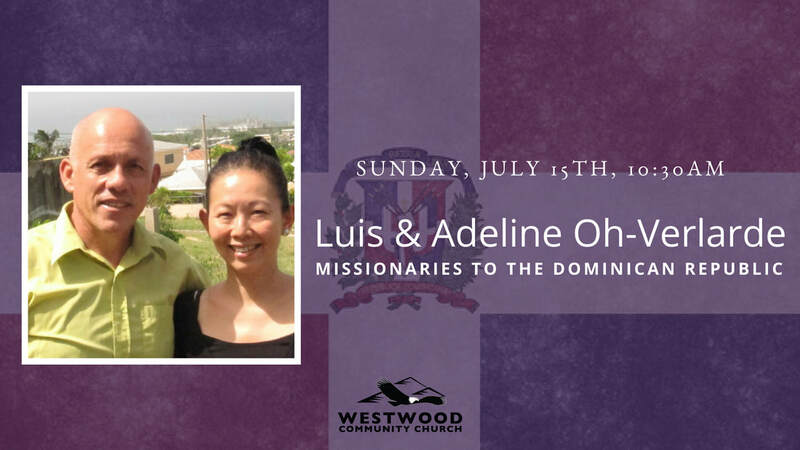 On Sunday, July 15th, we will be having special guest speakers, our Missionaries to the Dominican Republic, Luis & Adeline Oh-Verlarde. 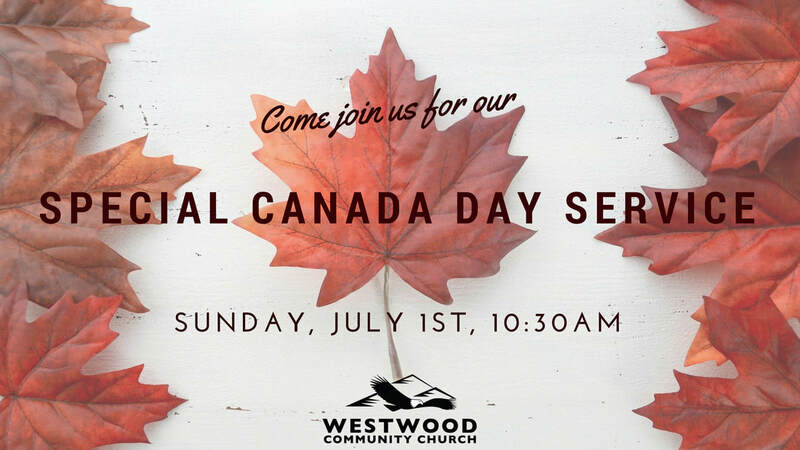 ​Come join us on Sunday, July 1st for a Special Canada Day Service. Pastor Giulio will begin with a new sermon series, entitled The Faith Walk. 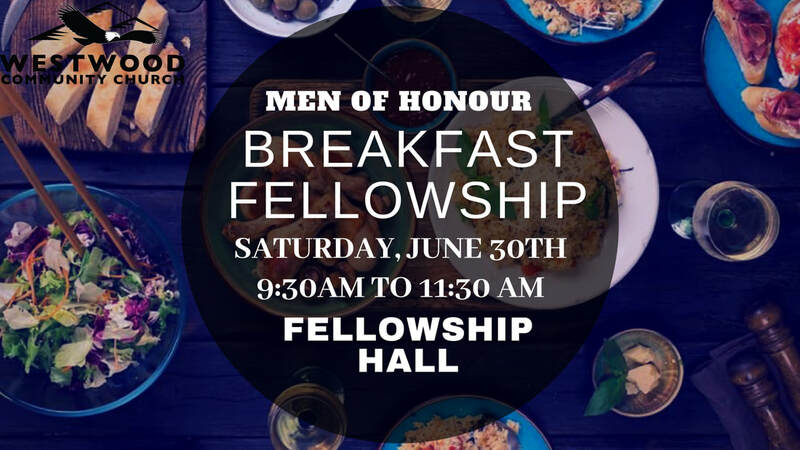 There will be a Fellowship Breakfast for Men of Honour ministry this Saturday, June 30th. Come join us at 9:30am in the Fellowship Hall & please contact Brother Jim if you have questions. 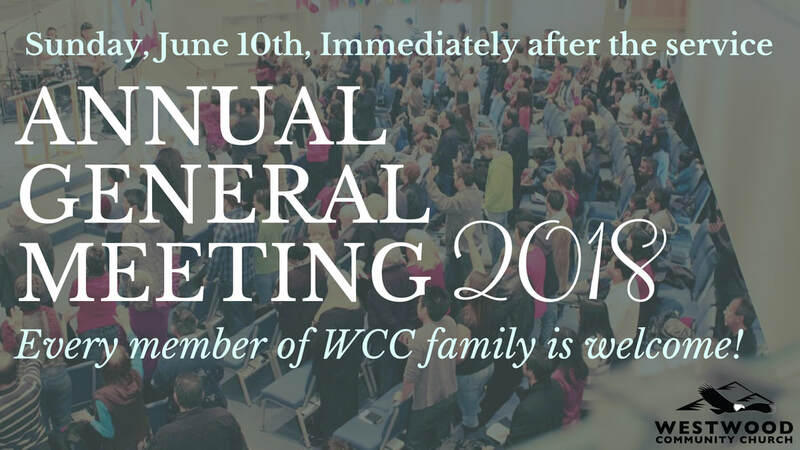 This year's Annual General Meeting will be immediately after the service on Sunday, June 10th. 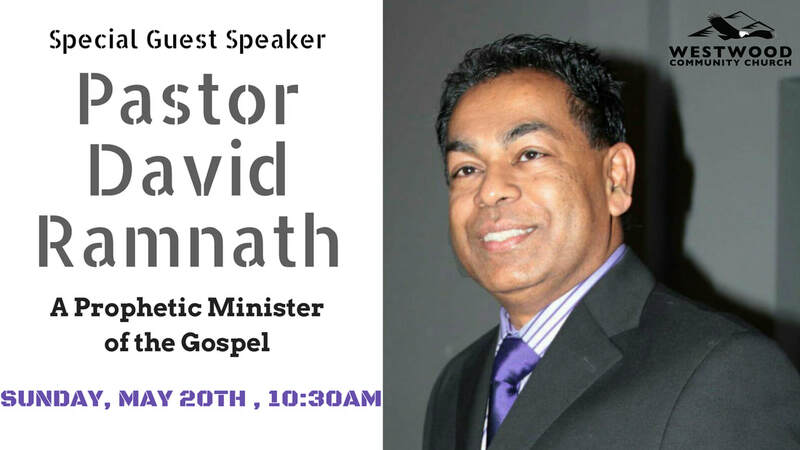 On Sunday, May 20th, we will have a special guest speaker, Pastor David Ramnath, a Prophetic Minister of the Gospel. 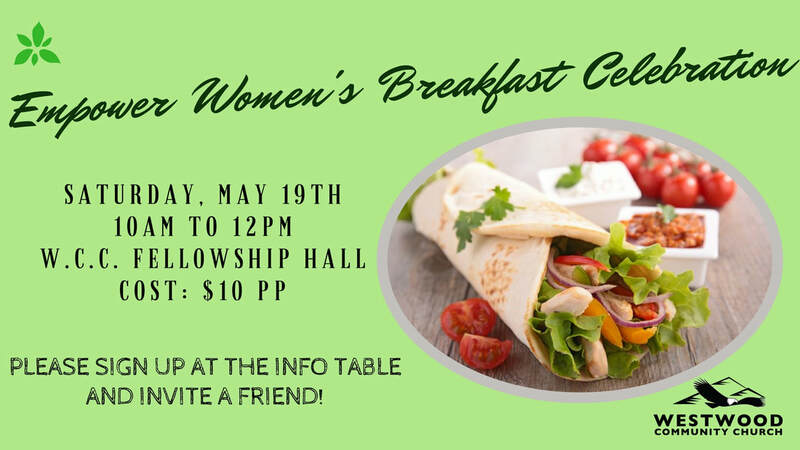 Ladies, please sign-up at the info table & invite a friend! On Sunday, April 22nd, we will have a special guest speaker, Laura-Lynn Tylor-Thompson, Co-host of the 700 Club. On Sunday, April 15th, we will have a special guest speaker, Rev. 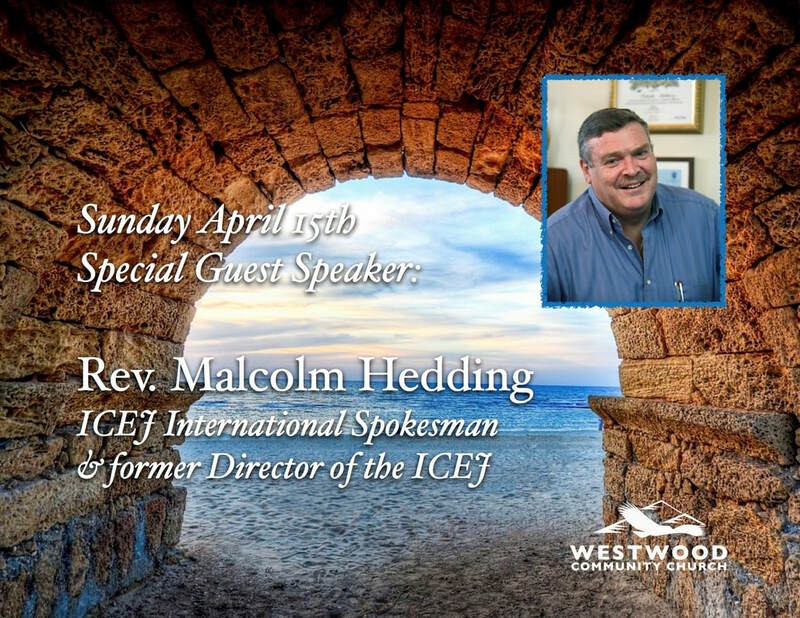 Malcom Hedding from ICEJ. Come join us at 10:30am. 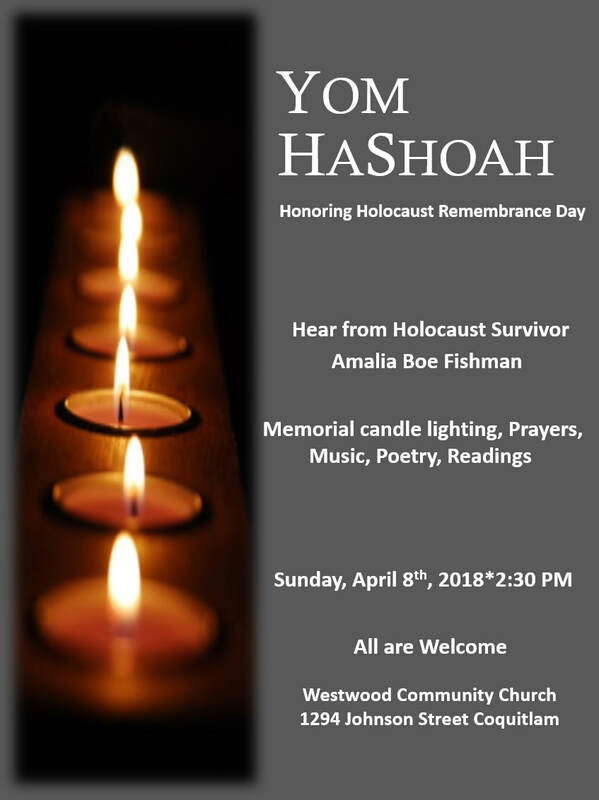 ​All are welcome to this year's Holocaust Memorial with Candle Lighting, Prayers, Music, Poetry, & Reading. Hear from Holocaust Survivor, Amalia Boe Fishman. This is an awesome opportunity for you and your family to experience the biblical feast of Passover! 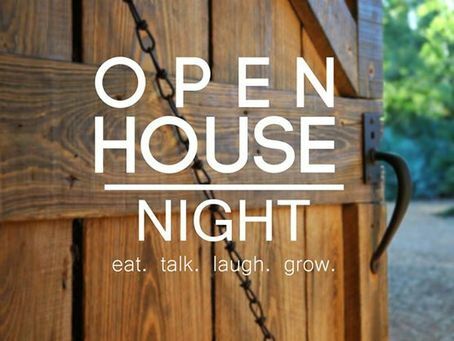 This event is open to all of our WCC congregation, and we encourage all our Westwood families to join for this wonderful evening of food, fellowship, learning and fun! The evening will be geared to young people! There is no cost for the evening, and everyone is encouraged to bring a finger food dish that everyone can enjoy. 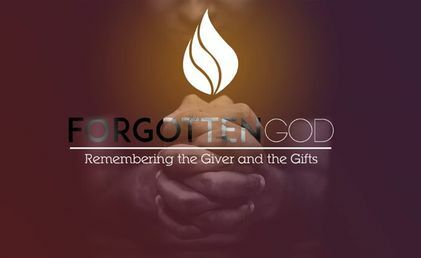 An offering will be taken that evening to support the Young Adults going on the Israel Missions trip this summer. Please sign up at the information table during the Sunday service or call in and inform our secretary, we just need to know how many will be coming. 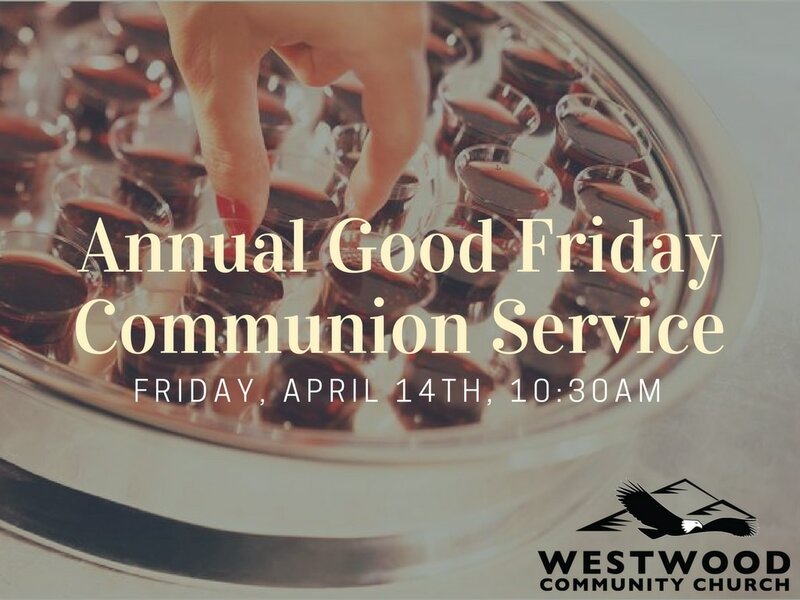 There will be our Annual Good Friday Communion Service with CAOG Church Family. 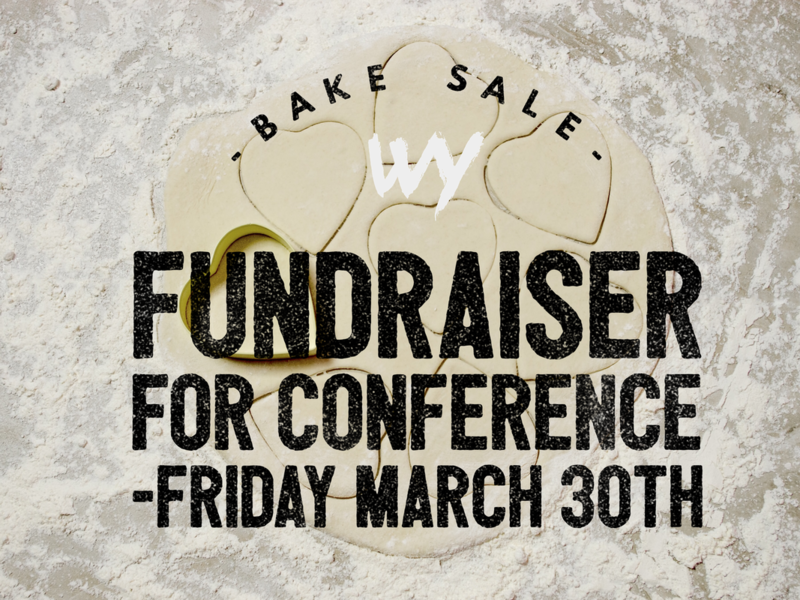 On the Good Friday, Westwood Youth will be having Bake Sale to raise fund for this year's Youth Conference. It will start immediately after the Communion Service, bring some change & support our Youth! 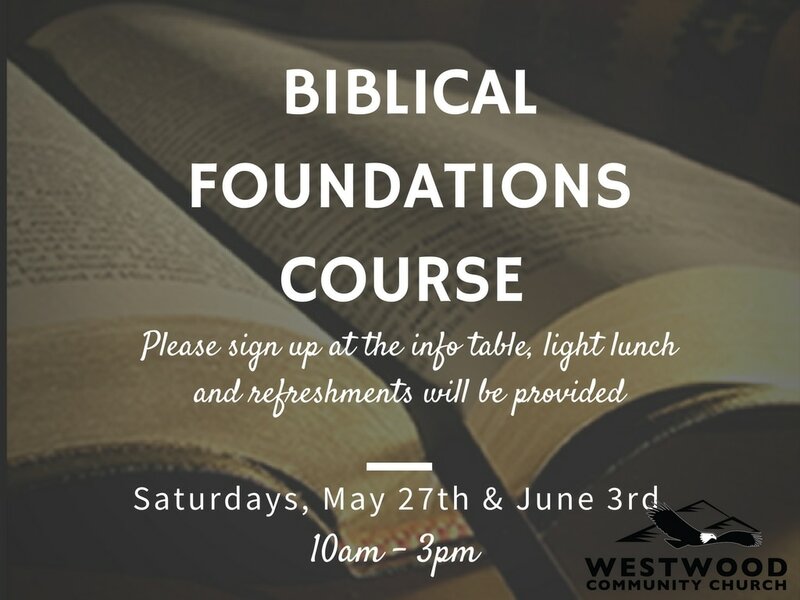 Join the family of God at WCC for this special bi-annual course; please sign-up at the info table. Ladies, come join us for our Empower Women's Prayer Gathering on Saturday, March 3rd in the Church Sanctuary! Our annual 21 days of Fasting & Prayer for the year 2018 runs from Friday, February 2nd until Thursday, February 22nd. Calendar schedule is available at the info table. 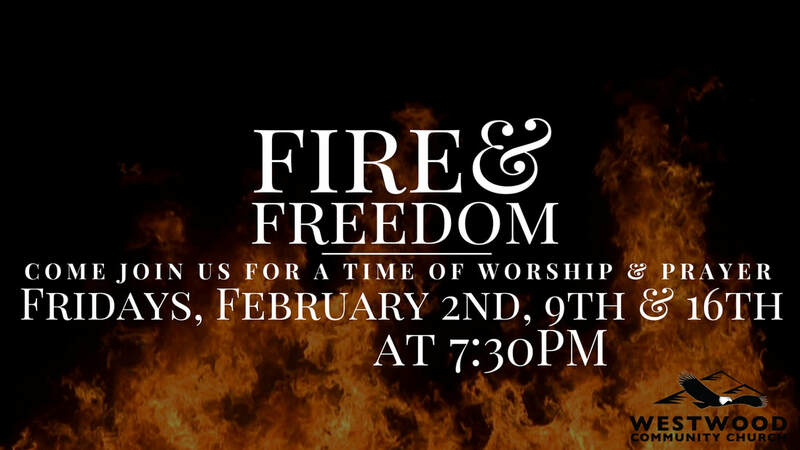 In the upcoming month of February, there will be Fire & Freedom Service on 1st, 2nd & 3rd Fridays. Come join us for a special time of worship & prayer. 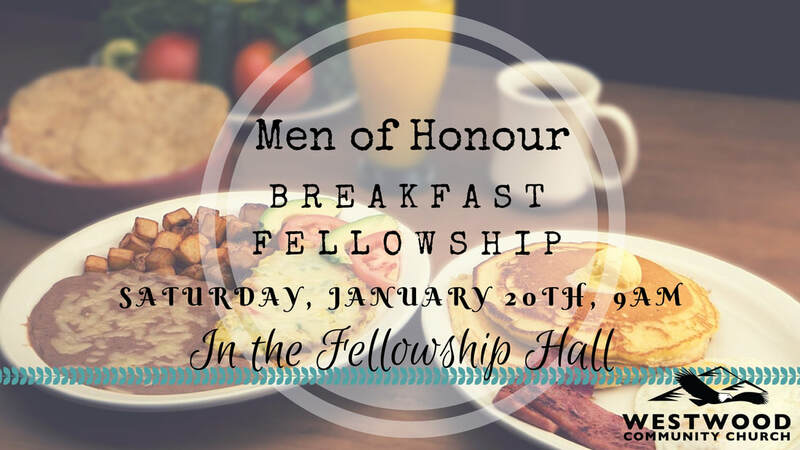 There will be a quarterly Fellowship Breakfast for Men of Honour ministry on Saturday, January 20th. Come join us in the Fellowship Hall at 9am! 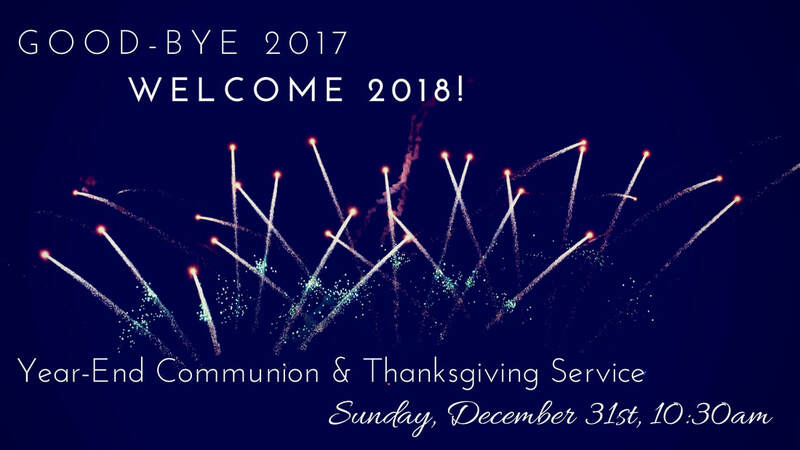 Come join us for this year's New Year's Eve service during our regular Sunday morning service hours. 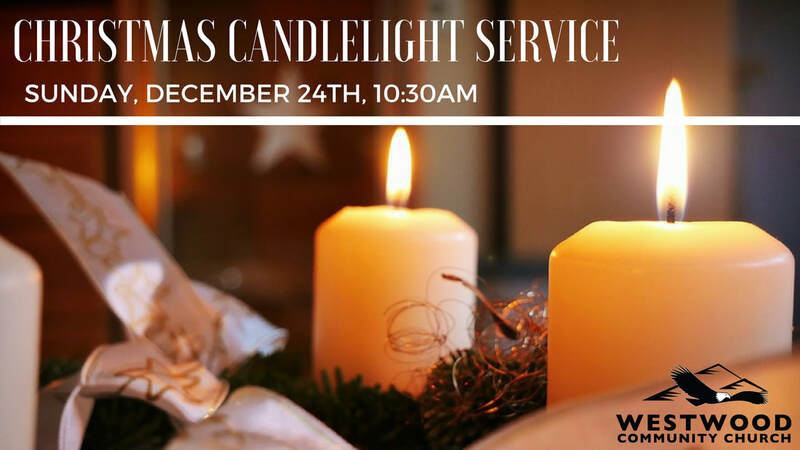 This year's Christmas Candlelight Service is this Sunday! 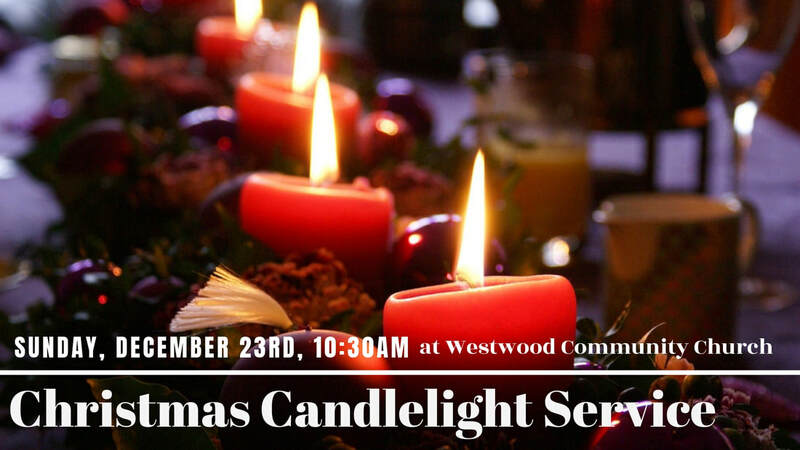 It will begin with special Christmas music by WCC Worship Ministry & Choir. 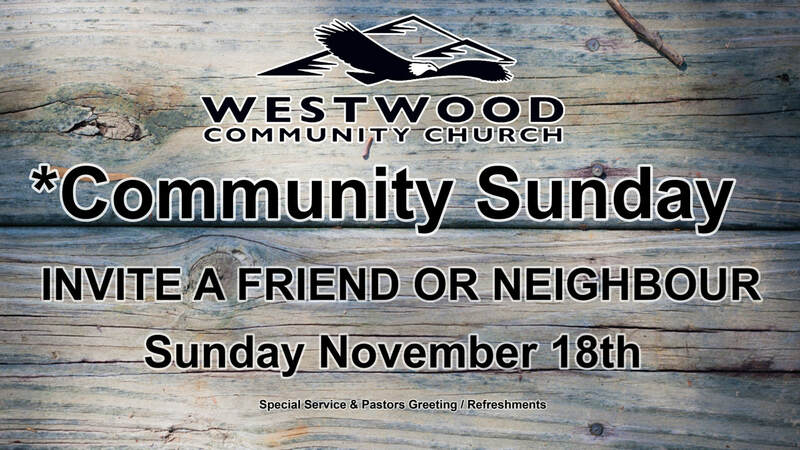 And the service will be followed by very special Westwood Connect with lots of foods to share. 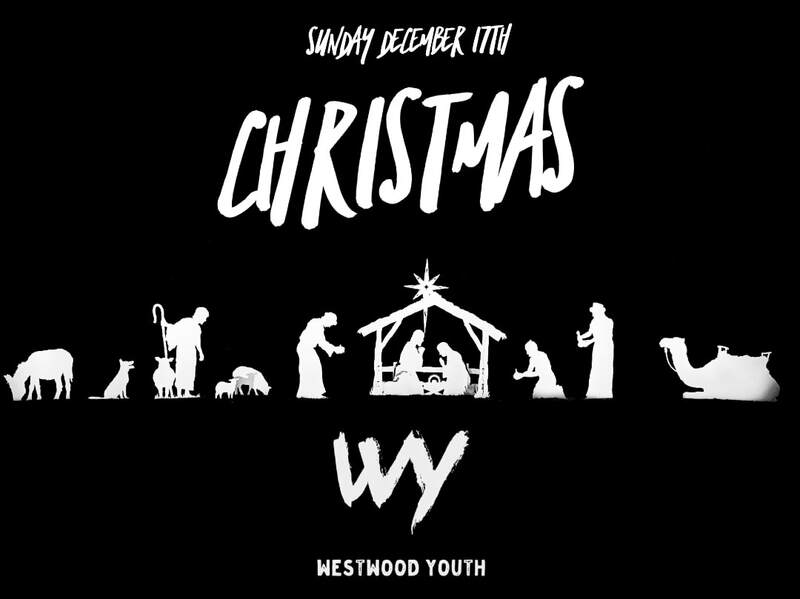 Sunday, December 17th will be very special with Christmas Program by Westwood Youth! 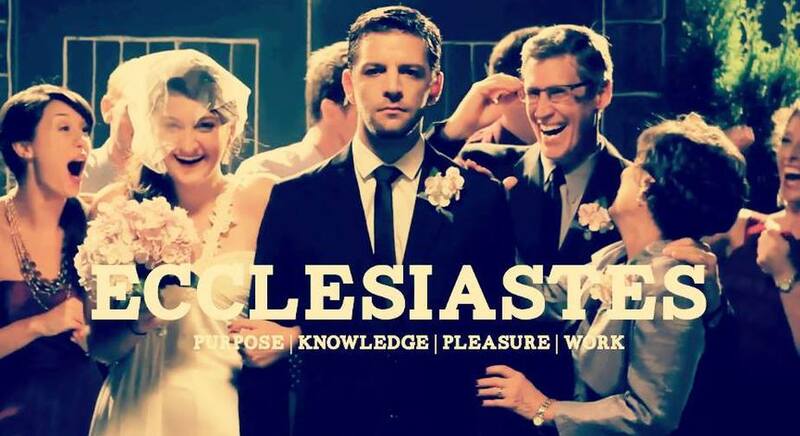 ​Come join us at 10:30am! Our annual Christmas Banquet is coming up very soon! Prices are: $30 for Adults, $20 for Children 5-12, & FREE for Children 4 or under. Please contact church office at 604-464-0558 if you have any questions! 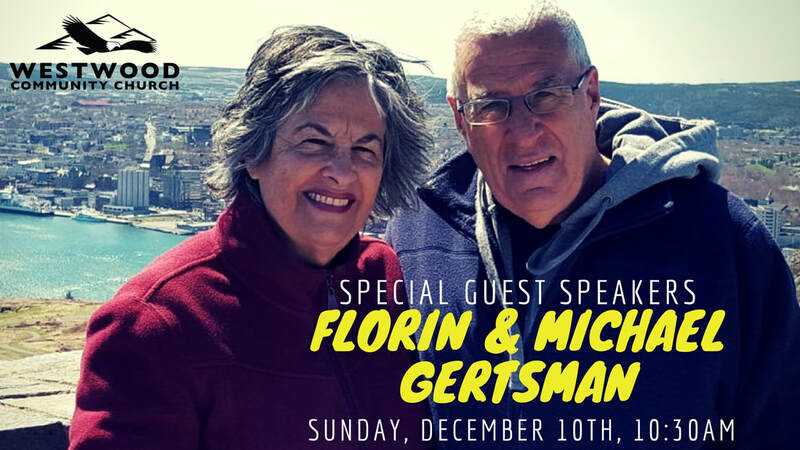 On Sunday, December 10th, we will be having special guest speakers, Florin & Michael Gertsmans. 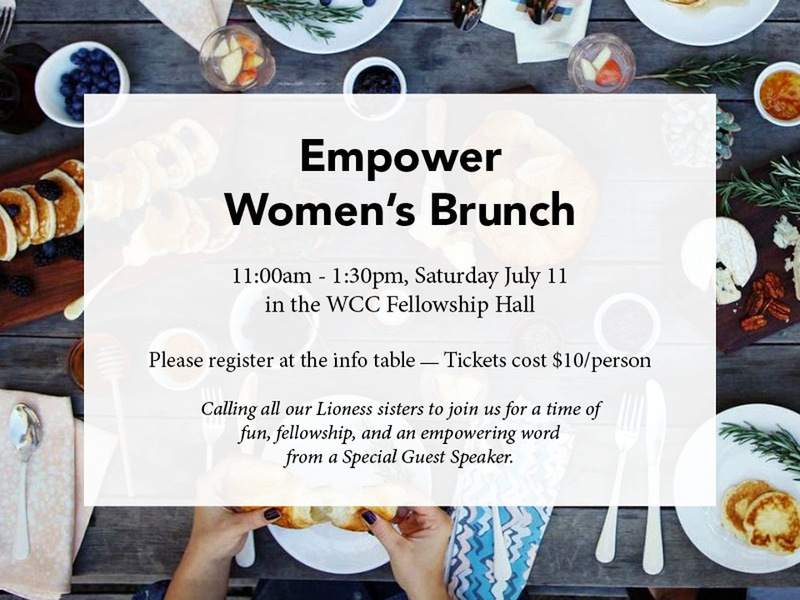 Come join us for a time of Fun, Fellowship, and an Empowering Word from a Special Speaker! Cost is $15 pp, please sign-up & pay at the info table. On Sunday, November 5th, we will be having a guest speaker, Pastor John Sabau from Romania. 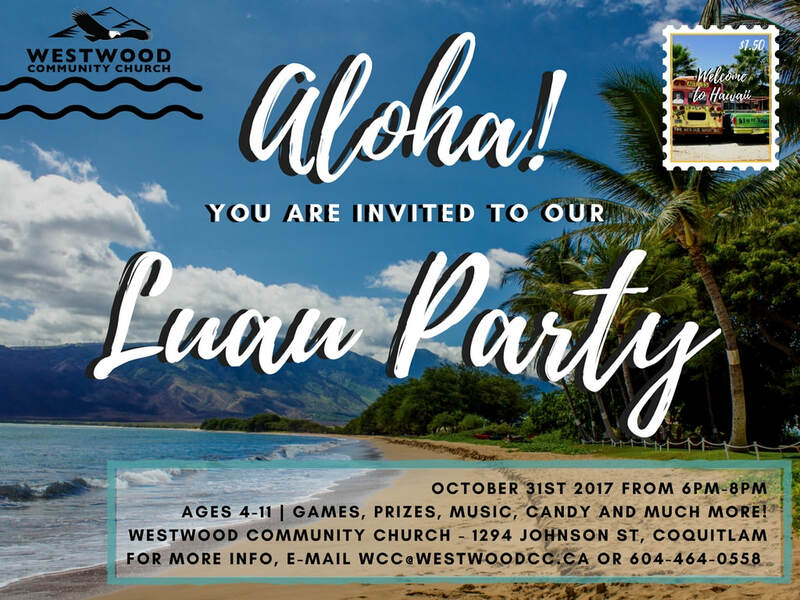 ​Children (Ages 4 to 11) at WCC are invited to Fall Fantastic, we have a Hawaiian theme this year! Please contribute candy donations for our children on this special day. You can drop off your donations in the bin located next to the main office. ​one of the keynote speakers will be Bill Johnson from Redding, California. 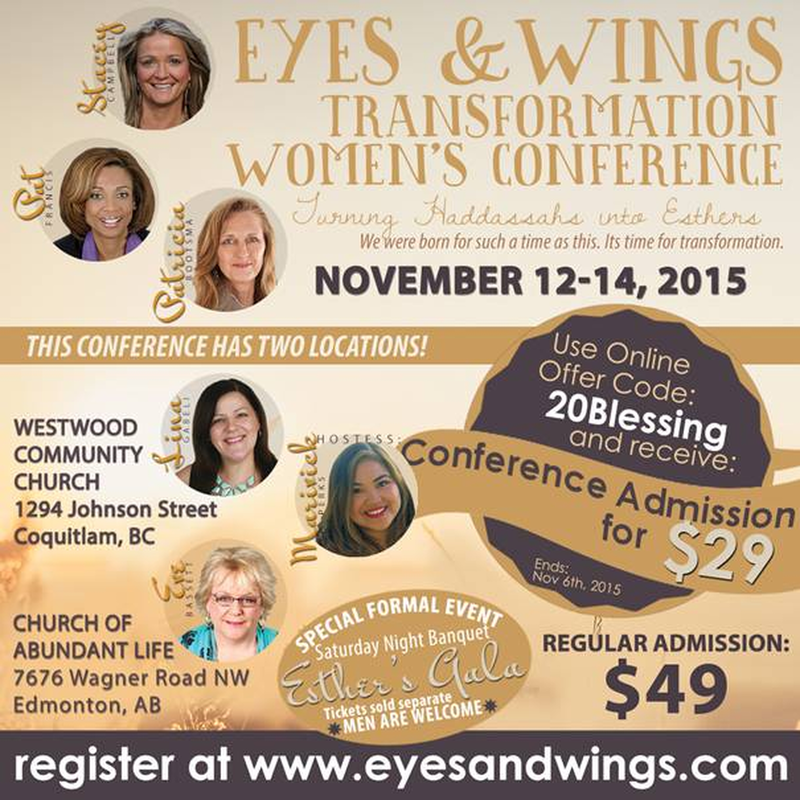 Registration is open on the website, ‘eyesandwings.com’ or call toll free at 1-888-738-4832. 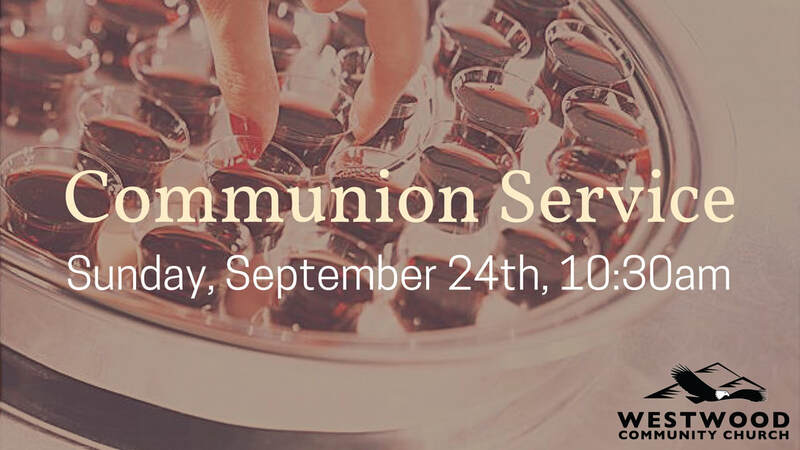 There will be a Communion Service on Sunday, September 24th. 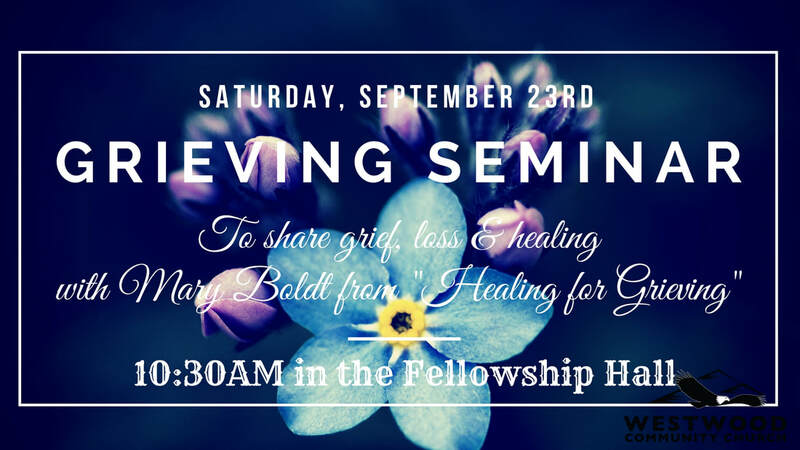 There will be a Grieving Seminar with Mary Boldt from Healing for Grieving on Saturday, September 23rd. 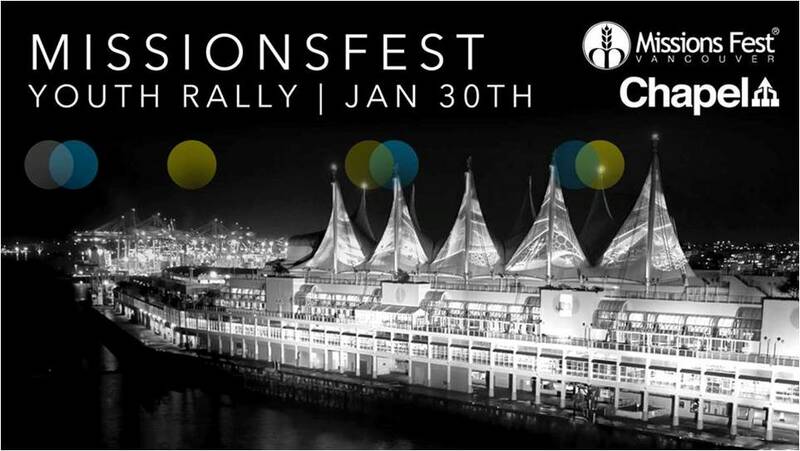 If you haven't signed-up, please contact Mary directly or church office at 604-464-0558. 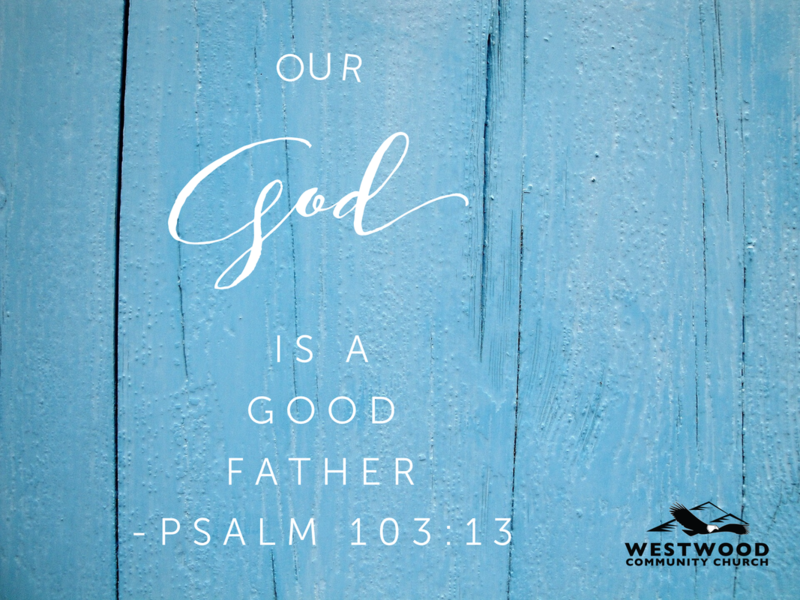 On Sunday, September 10th, Pastor Giulio will be sharing a powerful message on the theme, "Our God is a Good Father"
We're making going back to school this year FUN! Don't miss it! 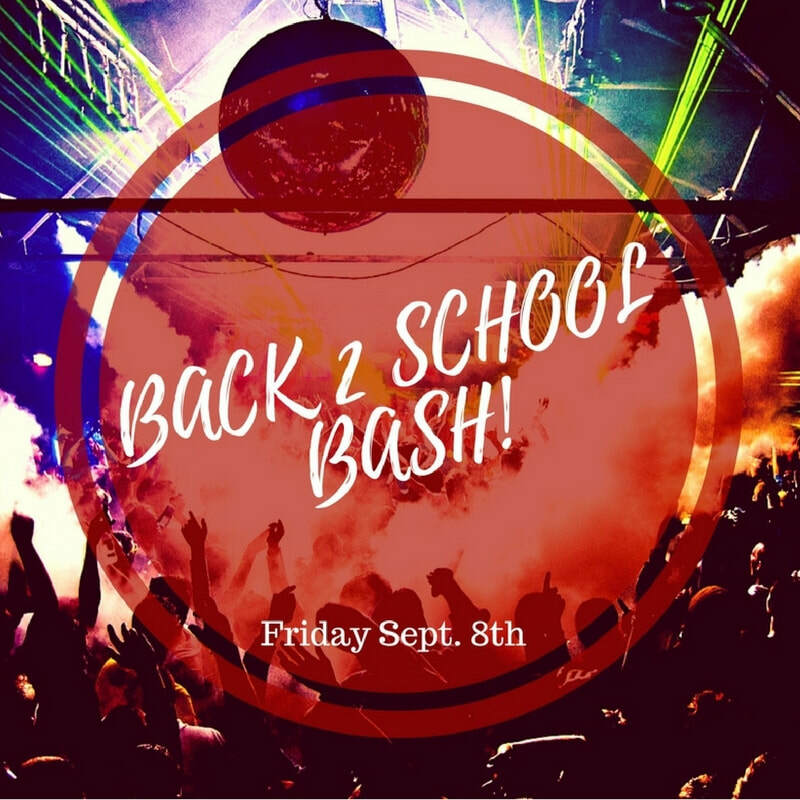 Bring a friend and see you Friday Sept the 8th! Our annual summer BBQ is coming very soon! 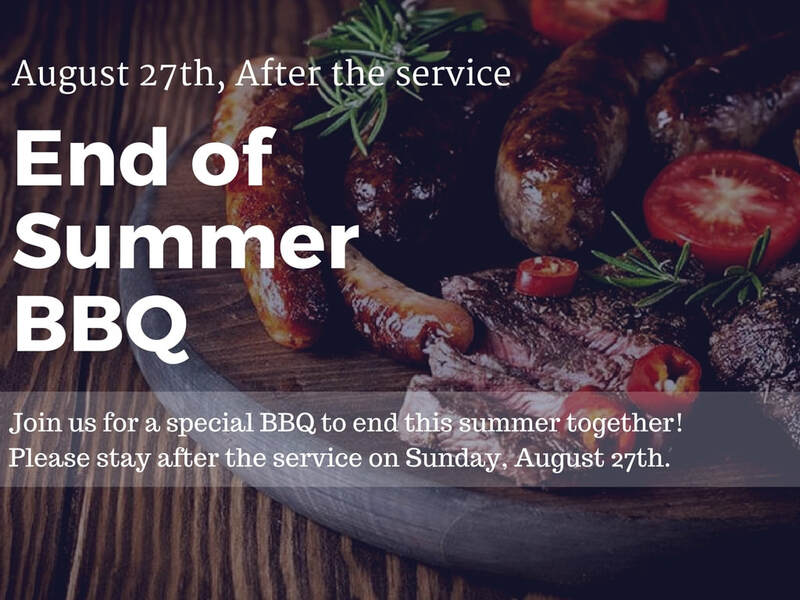 Join us after the service on August 27th and let's end this summer together with hog dogs and hamburgers! The Canada on Track team is travelling across the nation during the months of July & August, joining thousands together. 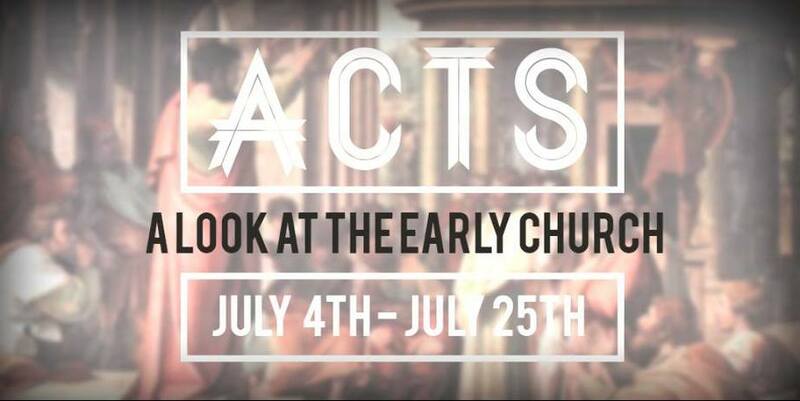 The Vancouver Gathering is scheduled for August 24th & 25th, AND it is happening at Westwood Community Church! ​Come join us at 7pm! 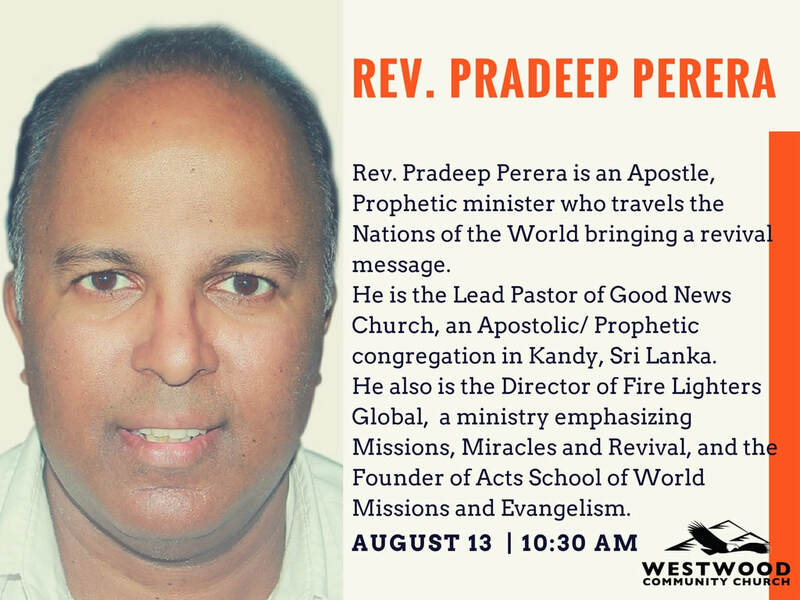 ​On Sunday, August, 13th, we will be having a special guest speaker, Pastor Pradeep from Sri Lanka preaching during the Sunday morning service. 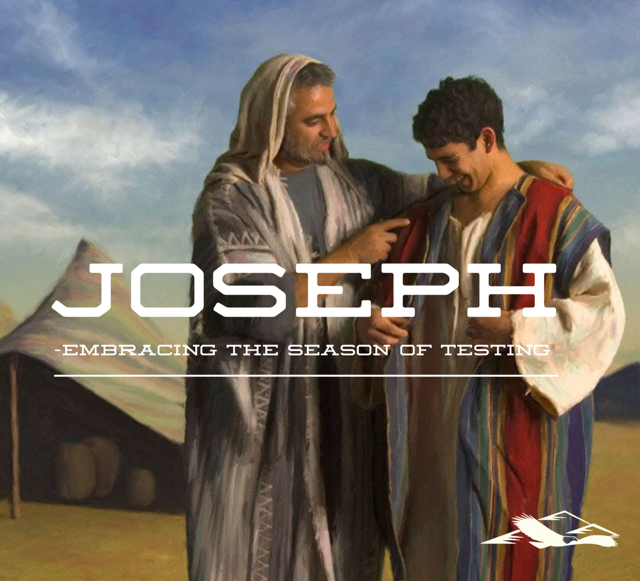 Pastor Giulio will be speaking of a powerful message on the theme, 'Embracing the Season of Testing' this Sunday, July 16th. Come join us at 10:30am! 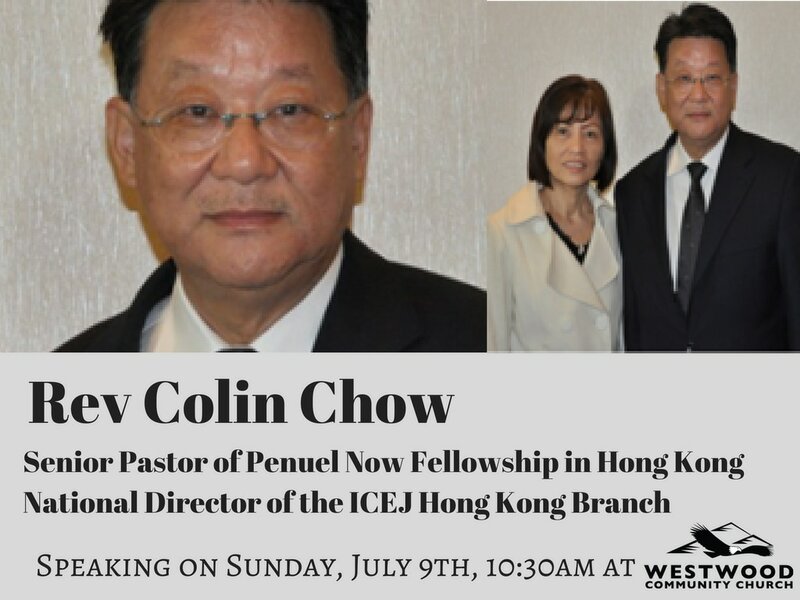 This Sunday, July 9th, we will be having a special guest speaker, Rev. Colin Chow from Hong Kong. 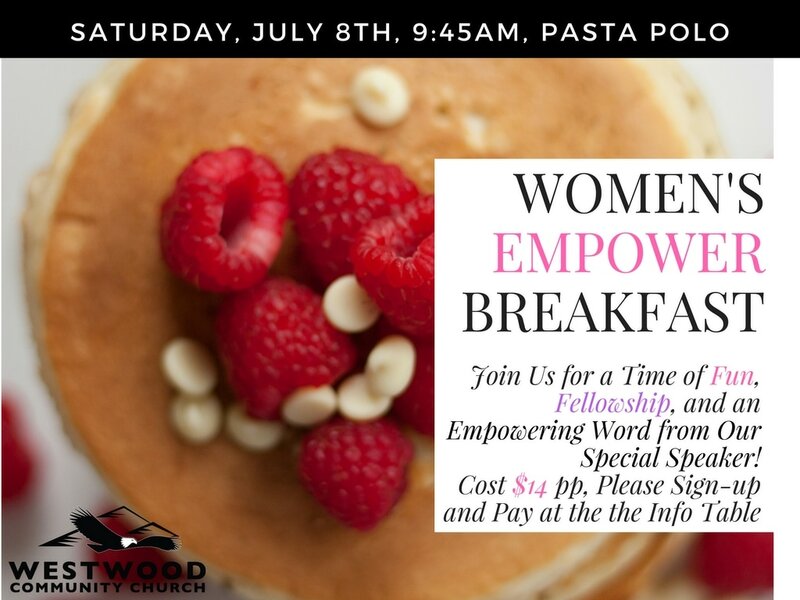 Join us for a time of fun, fellowship, and an Empowering Word from our Special Speaker, AND invite a friend! Please sign-up & pay at the info table. 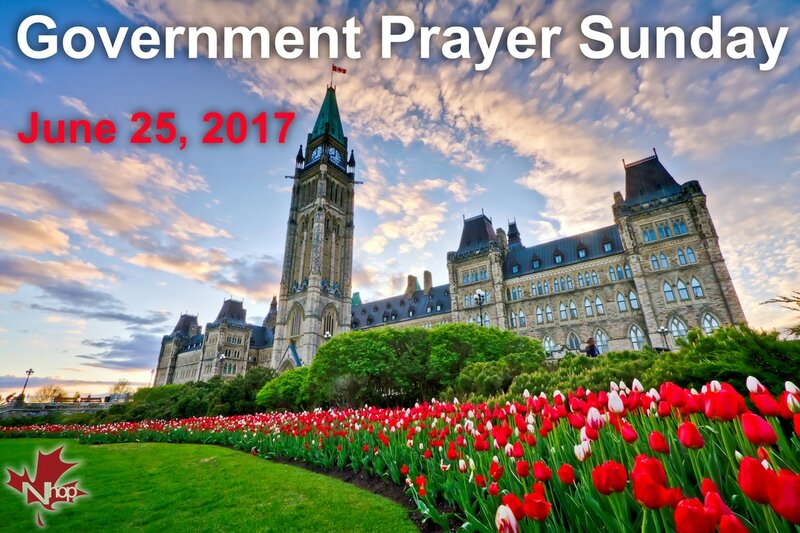 This Sunday, June 25th is the Government Prayer Sunday led by the National House of Prayer. Come join our prayer with Pastor Giulio Gabeli at 10:30am. 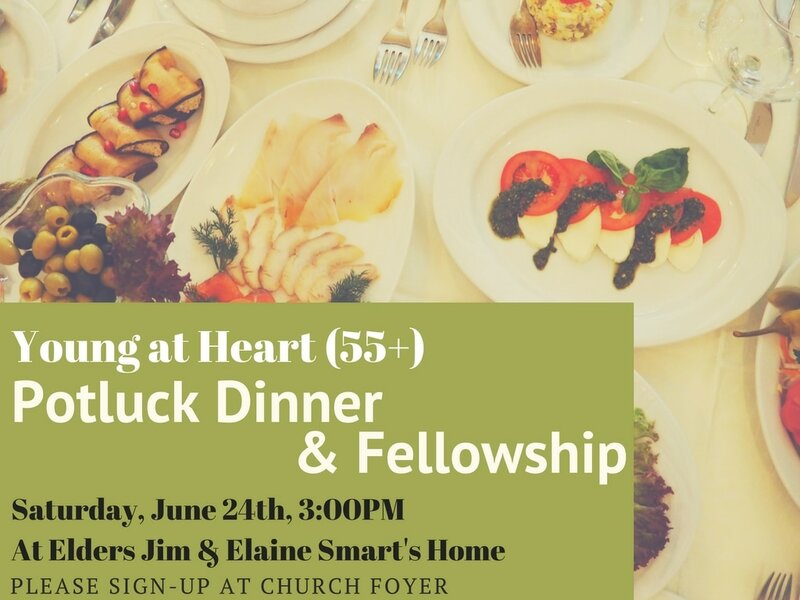 The Young-at-Heart Ministry is holding a special Potluck Dinner at Elders Jim & Elaine Smart’s home. Please sign-up at the info table where the address is available, AND don't forget to bring your chair! 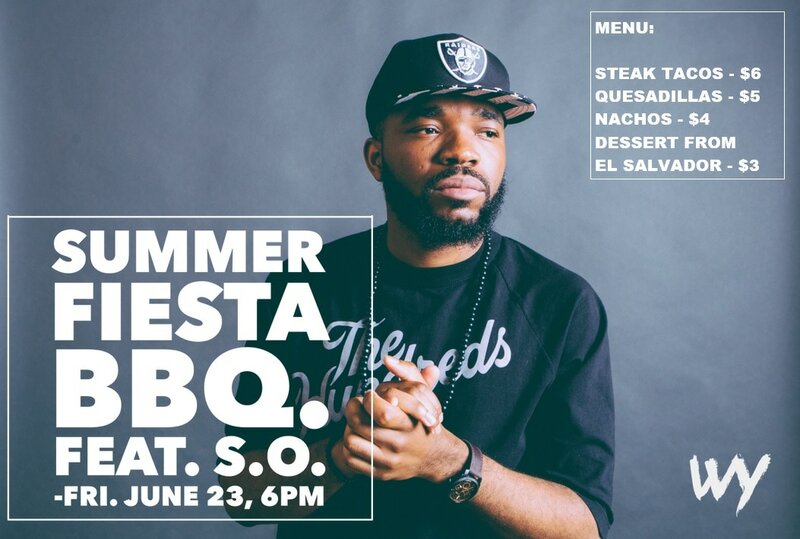 We are having a very special event to kick-off this summer, a Summer Fiesta BBQ with a special guest S.O.! 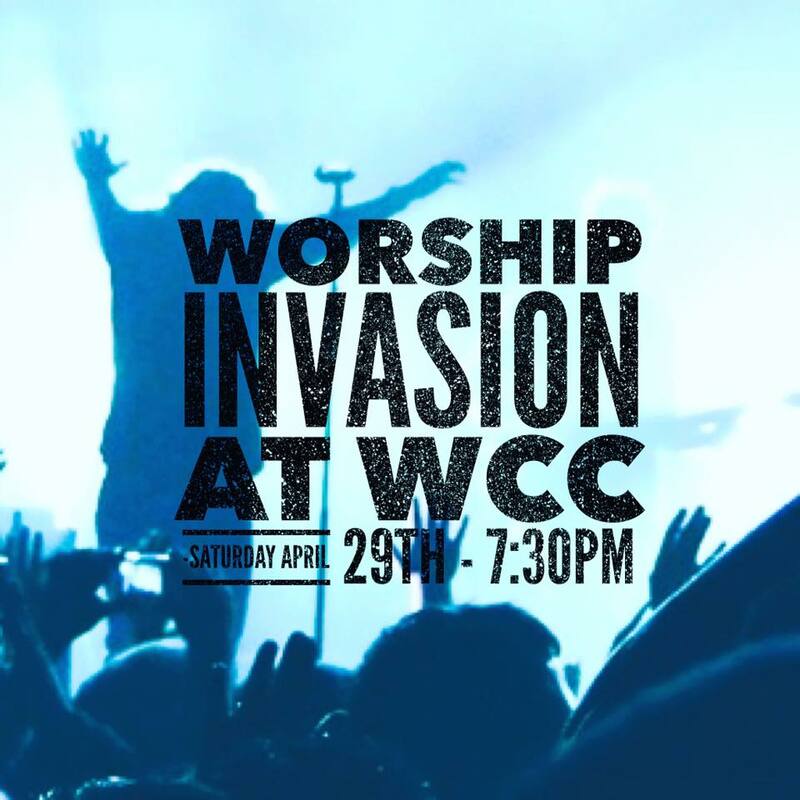 This is going to be an amazing night and we are believing for a lot of people to meet JESUS. It is a free event, but we will be selling food (please see the menu on the poster below). The event will start at 6pm. Bring as many as friends as you can! 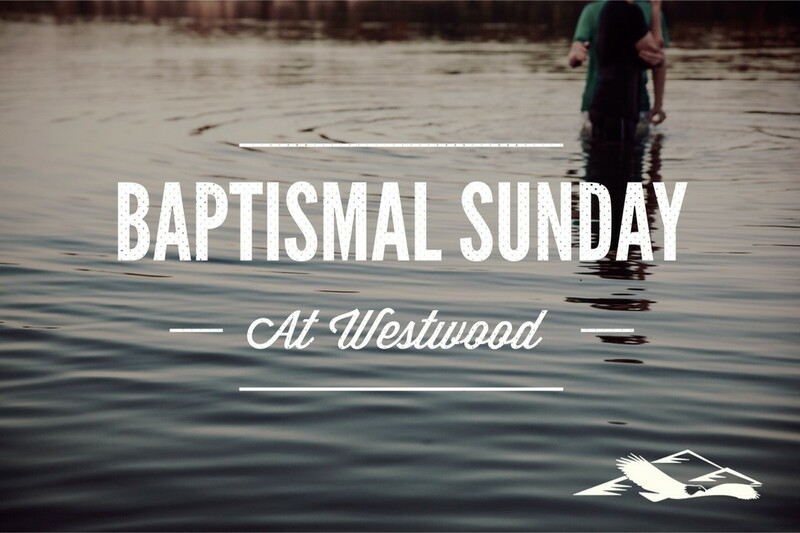 This Sunday, we will be having a Baptism for those who are declaring their faith in Christ publicly. 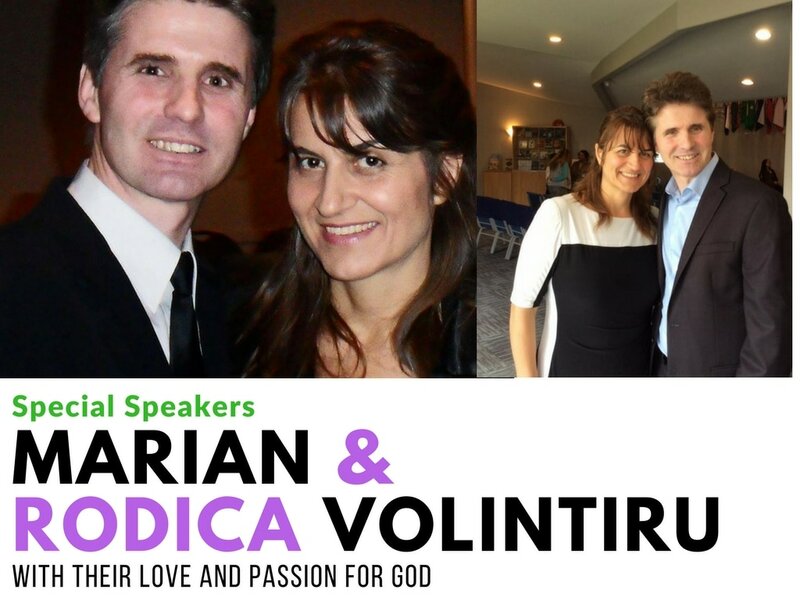 On June 4th, we will have Missionaries, Brother Marian and Sister Rodica Volintiru speaking during our Sunday morning service. 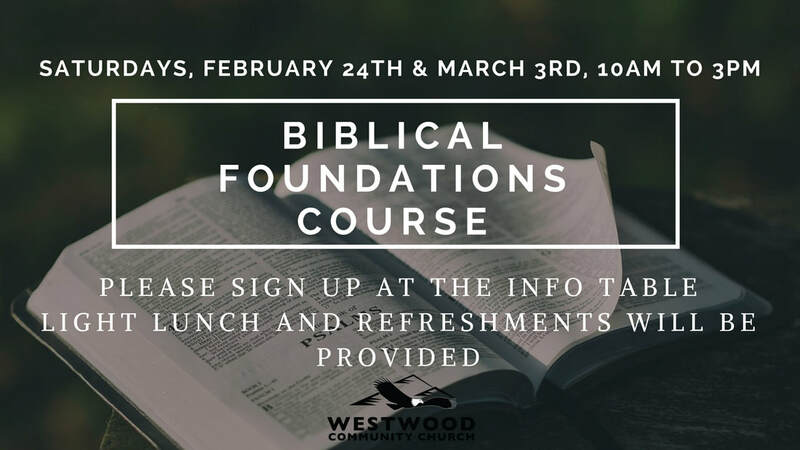 Come join the family of God at WCC for this special course. Please sign-up at the info table. 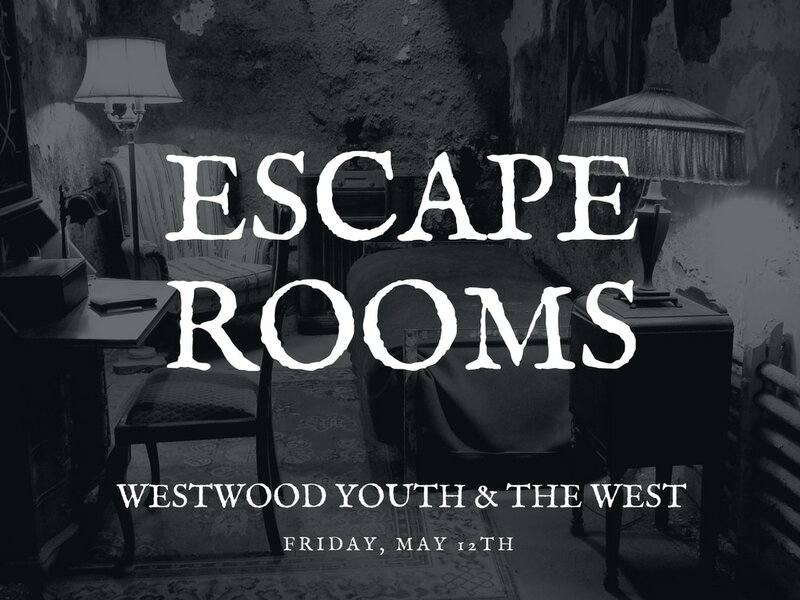 This is our fun event for Westwood Youths and Young Adults for the month of May! ​Are you a high-school or post secondary student? 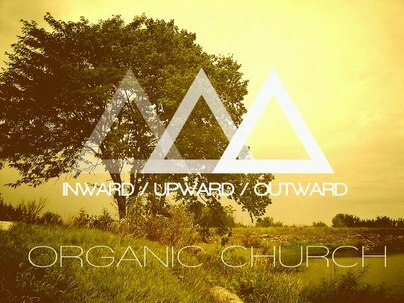 Or do you know one in our Westwood Family that would like the incredible opportunity to work at the church this summer? Contact Pastor Adam for more info and hand in your Resume with a letter of why you would like to work with us by May 7th! ​This will be a whole day event to be equipped and empowered by the word of God. We will also have anointed worship, testimonies and an opportunity to forge new friendships! 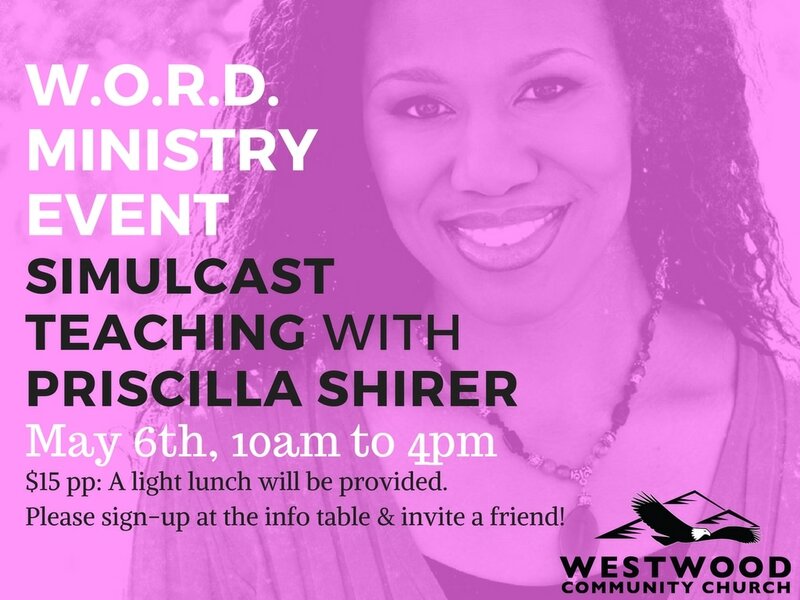 BIO: Priscilla Shirer is a world-renowned New York Times best-selling Christian author and motivational speaker. She is also a Bible teacher who was the main character in the Box Office highly acclaimed Christian film, War Room. 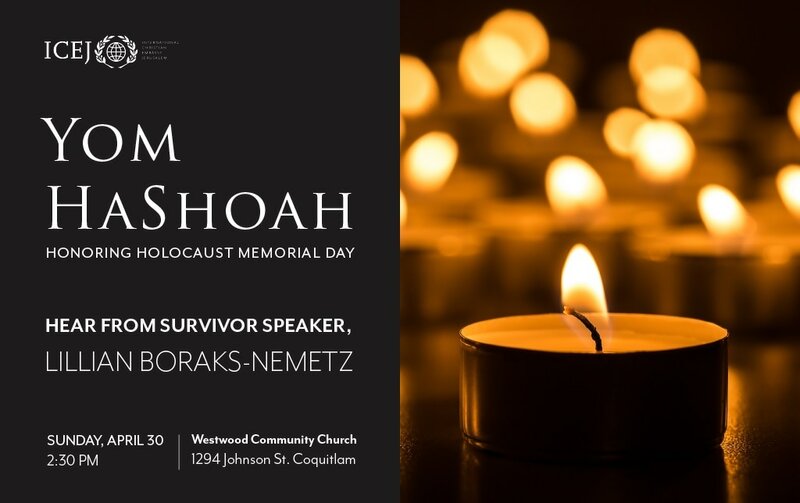 Honoring Holocaust Memorial Day, we will hear from a survivor speaker, Lillian Boraks-Nemetz. Mark your calendars everyone! 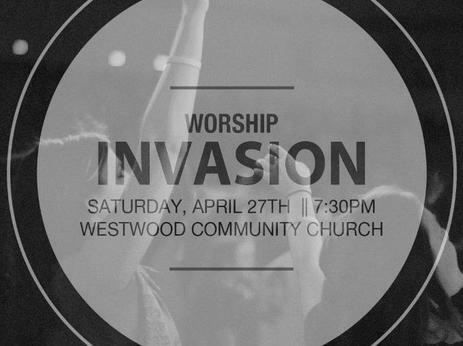 Worship Invasion will be at Westwood this Saturday night April 29th! ​Join us this Resurrection Sunday morning at WCC for our special Easter Service. 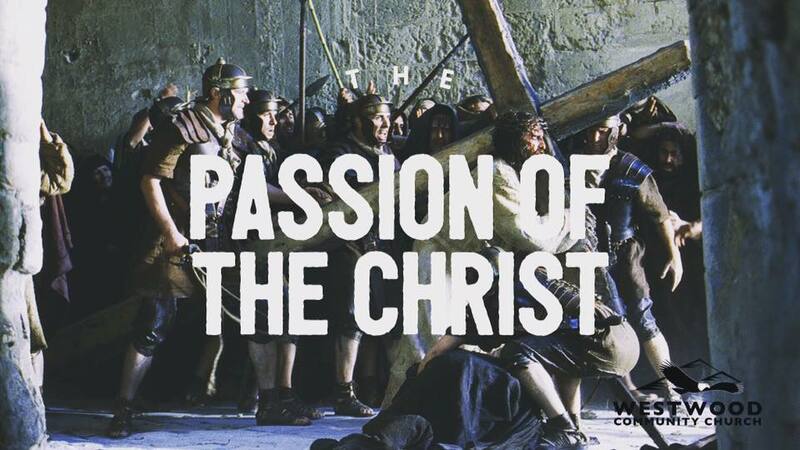 We will be continuing our message series entitled "The Passion of the Christ". See you all at 10:30am! 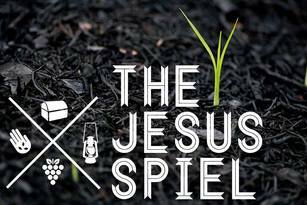 Celebrating this year’s Easter, we will have a special guest speaker, Rev. Barry Buzza. 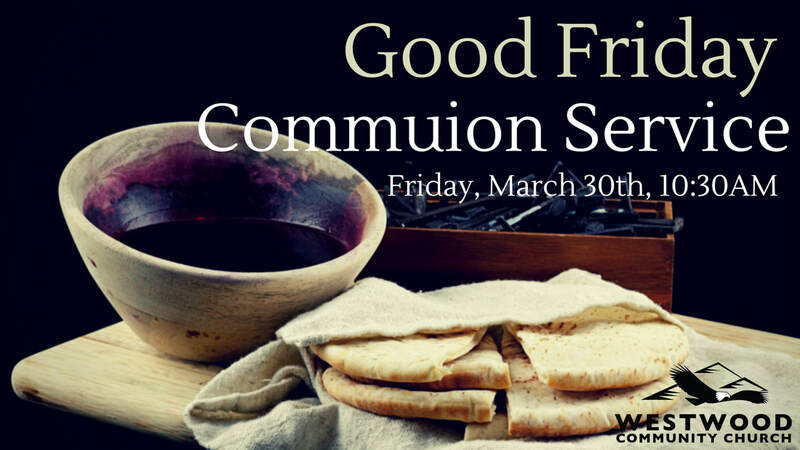 ​Come join us at 10:30am for Communion Service. 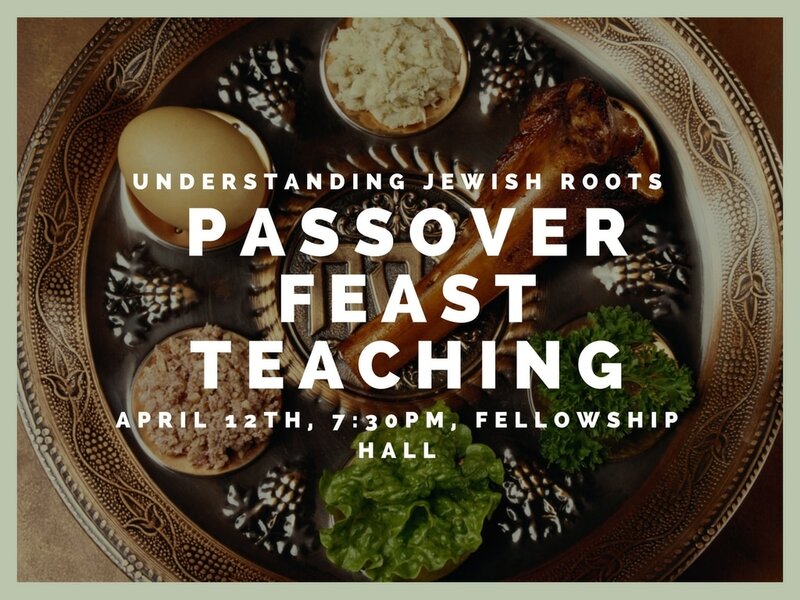 Join us at our monthly Understanding Jewish Roots service for Passover Seder Teaching on Wednesday, April 12, 7:30PM. Join us this Palm Sunday morning at WCC as we begin our message series entitled "The Passion of the Christ". 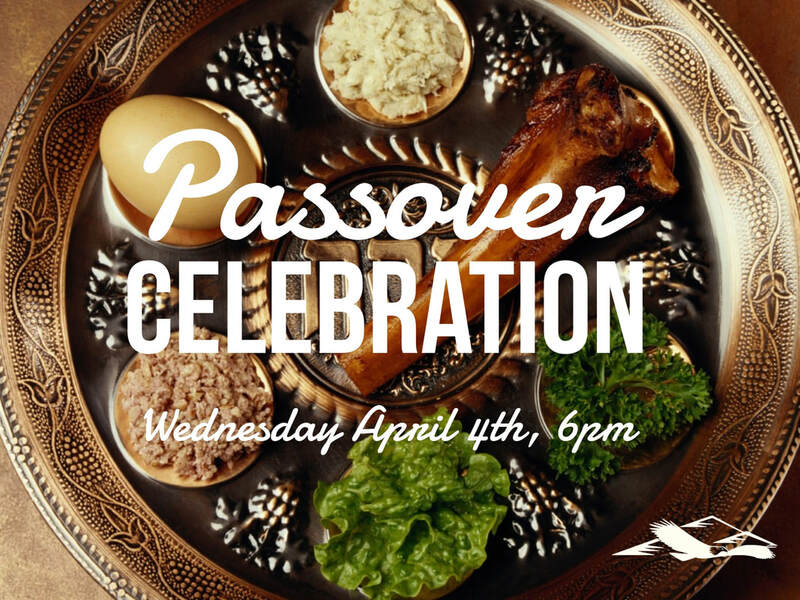 Pastor Giulio will be going deep into examining the events around Passion week and how it is intertwined with the feast of Passover! See you all at 10:30am! 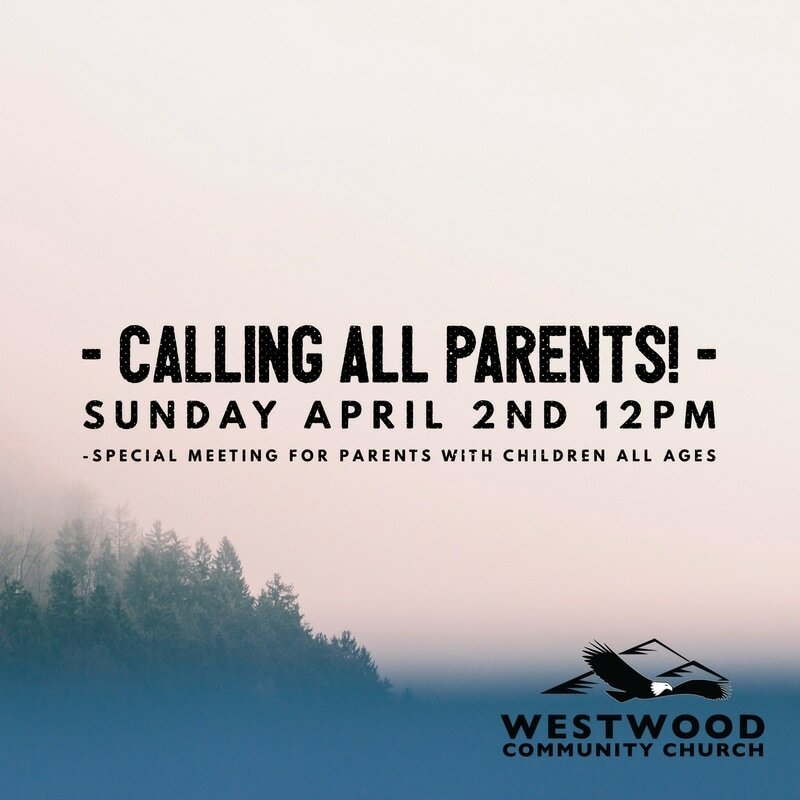 We want to meet with parents of children all ages for a special vision casting with the leaders and pastors. We will meet in the Sanctuary right after the service on Sunday, April 2nd. ​We encourage Westwood Youths and Young Adults to come out for a time of thanksgiving for the Festival of Hope, and looking forward to Voices Together 2017. 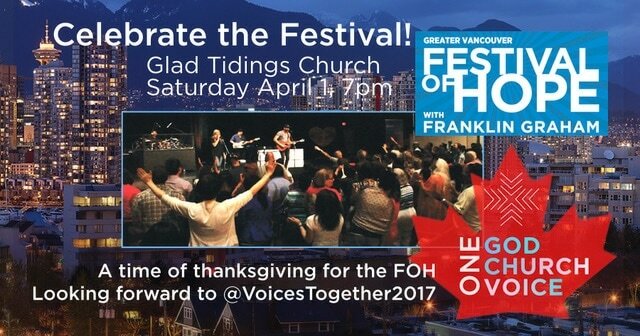 It will be at Glad Tidings Church, Vancouver on Saturday, April 1st, 7PM. 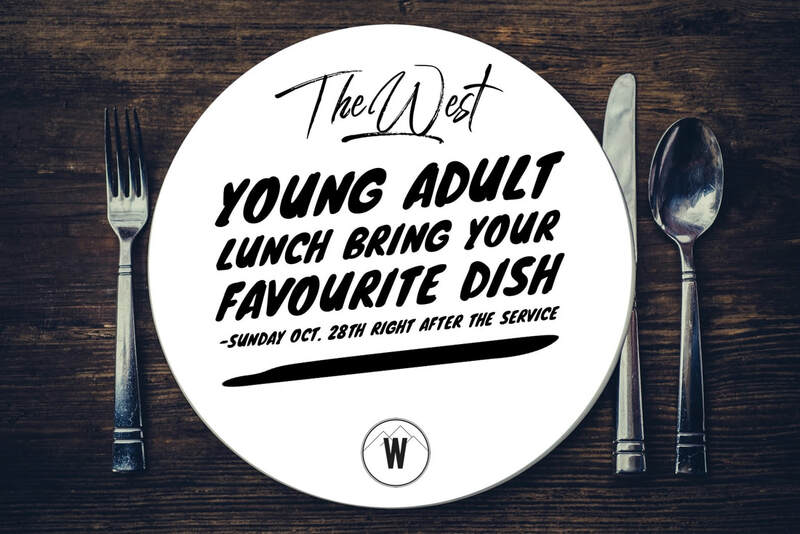 We encourage all our WCC Young Adults to join us at THE WEST, open to all young adults (Childcare for children 2-6 provided). 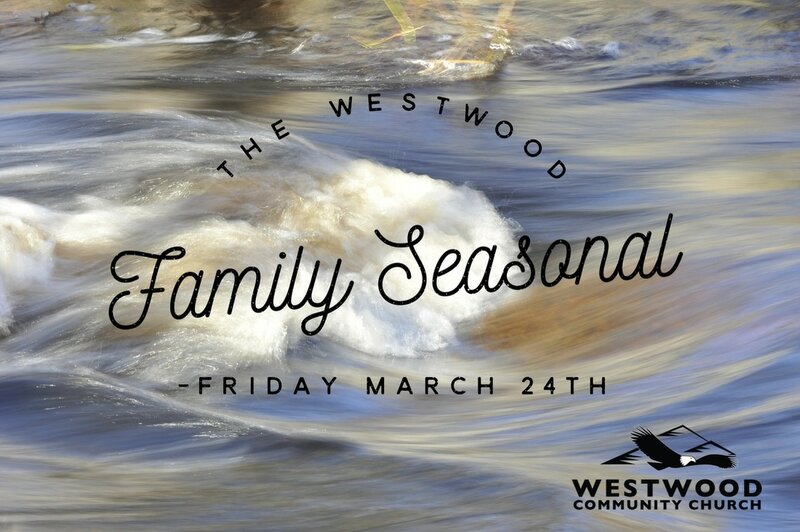 This Friday is our WCC Family Seasonal! We welcome all ages for this special community building event! 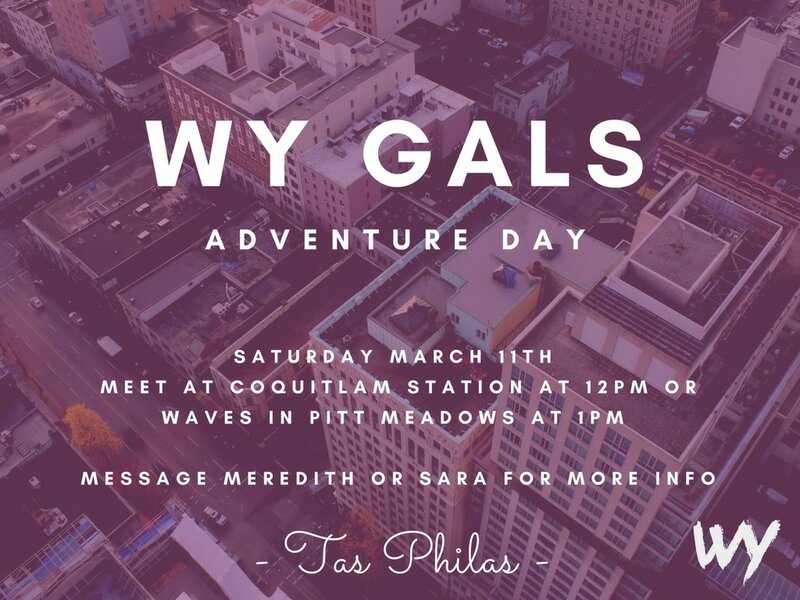 Meet us in Lions Park (Port Coquitlam) at 2pm - 5pm for a time of enjoying the outdoors and a stroll along the Coquitlam River, Children and parents are welcome to stay at the playground where the kids can play. ​IN CASE OF RAIN, WE WILL CANCEL THIS PORTION OF THE DAY. 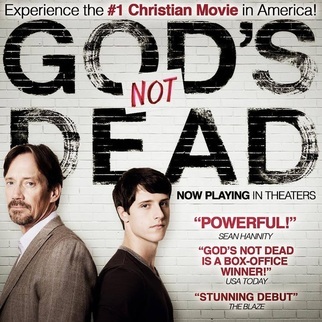 Then at 7pm we will meet at Church for a special movie and popcorn. An alternate movie will be provided for children in another room. Stay tuned for updates on our Facebook page in regards to the weather! 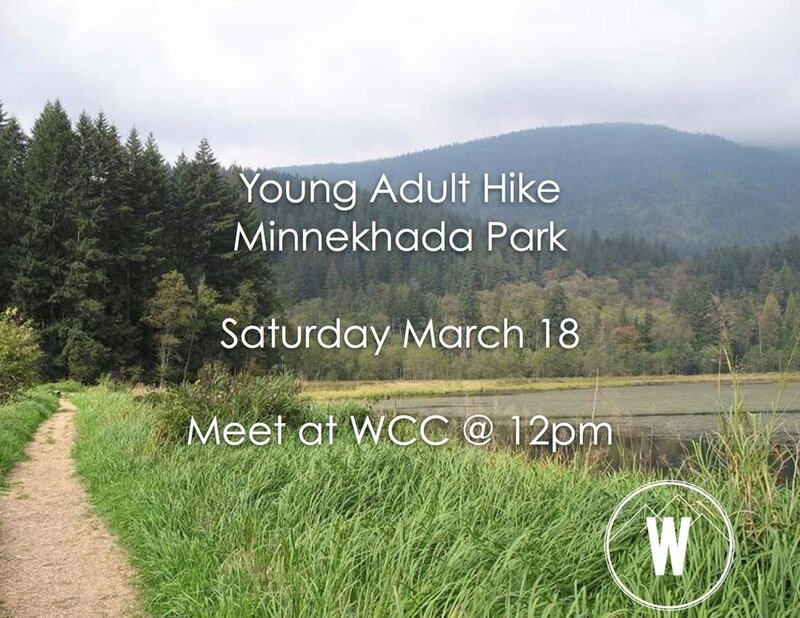 We invite our WCC Young Adults community to join us for this community building event! 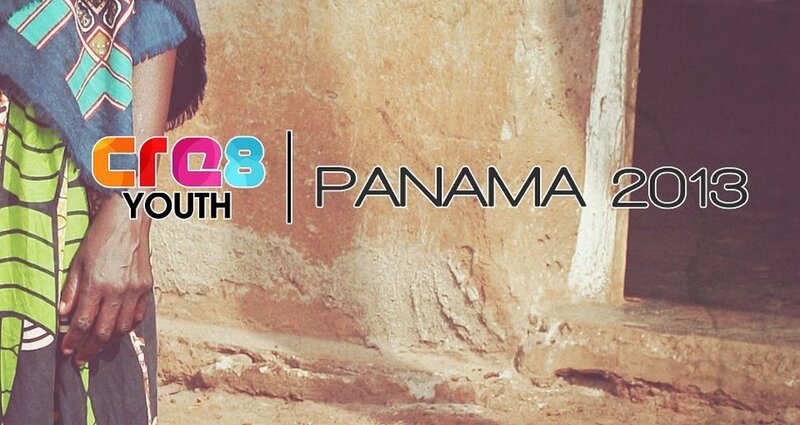 Saturday the 18th of March! 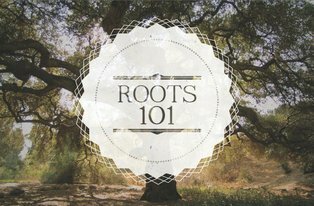 Monthly meeting for Understanding Jewish Roots is on the upcoming Wednesday. 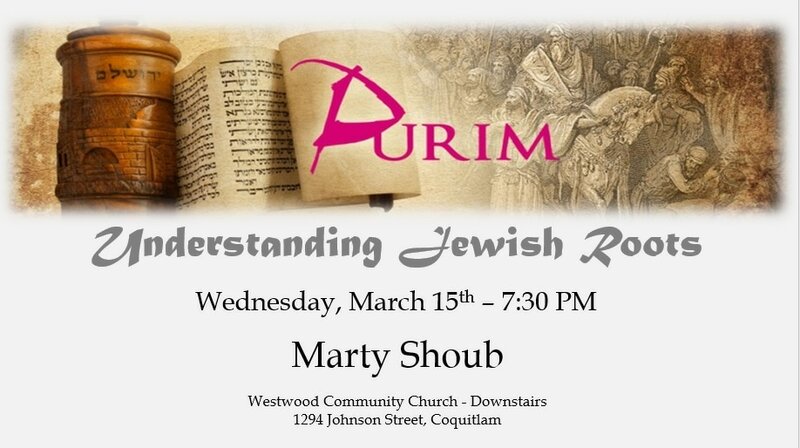 Come join us in the Fellowship Hall with Marty Shoub! 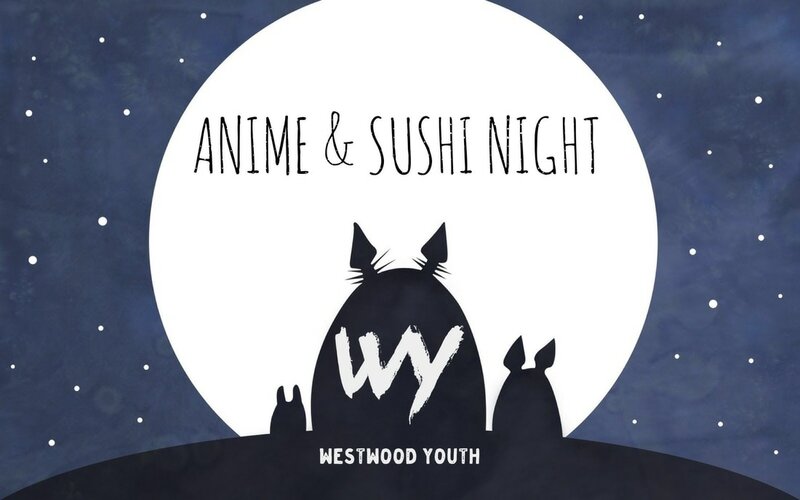 All Westwood Youth Girls invited to this fun community building event! Call Meredith Lopez for more info. 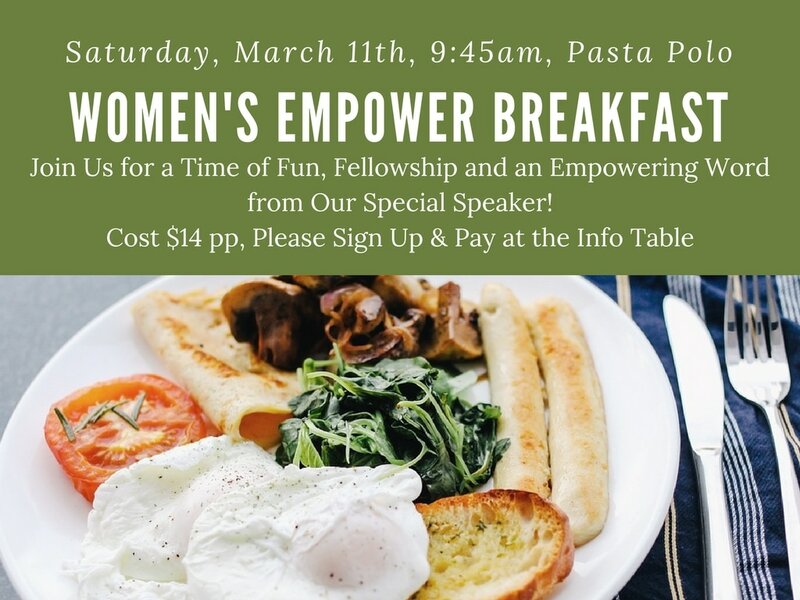 Joins us for a time of fun, fellowship, and an Empowering Word from our Special Speaker! 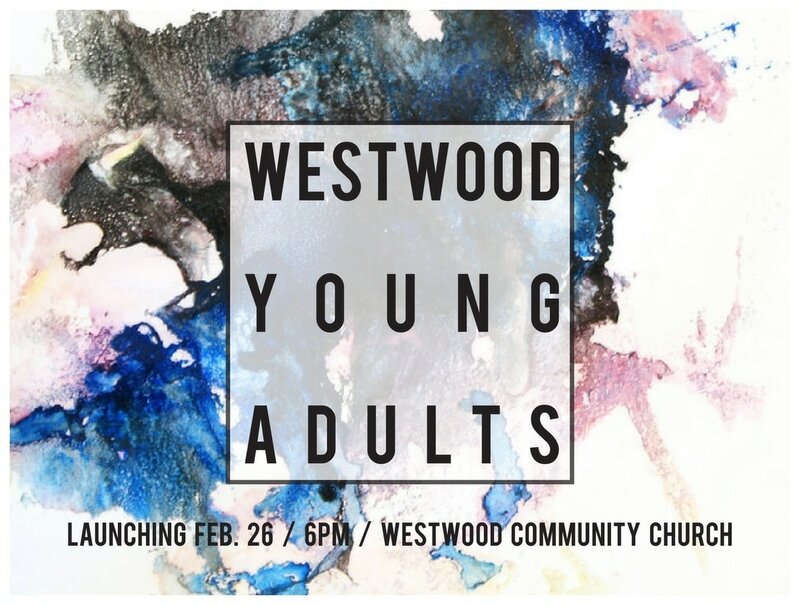 ​We are launching Westwood Young Adults Ministry for College, Career, and Young Couples! 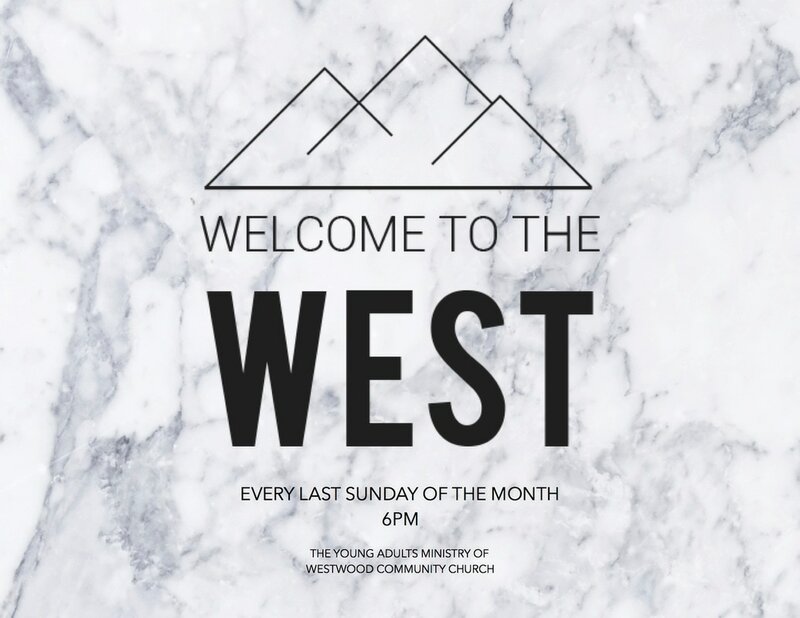 ​Come join us on the last Sunday evening of every month. Childcare will be provided for children, 6 years old or under. 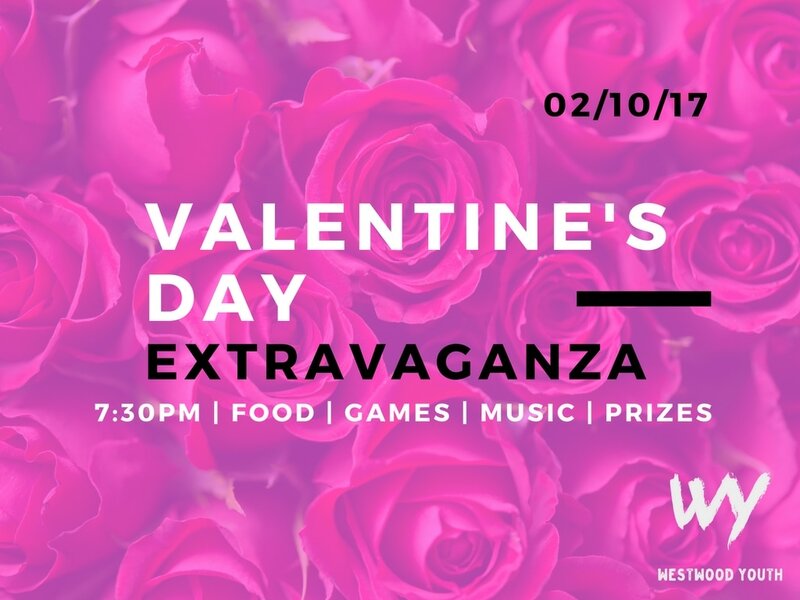 We are having Westwood Youth Valentine’s Day Extravaganza on the Friday February 10th with Food, Games, Music, and Prizes! 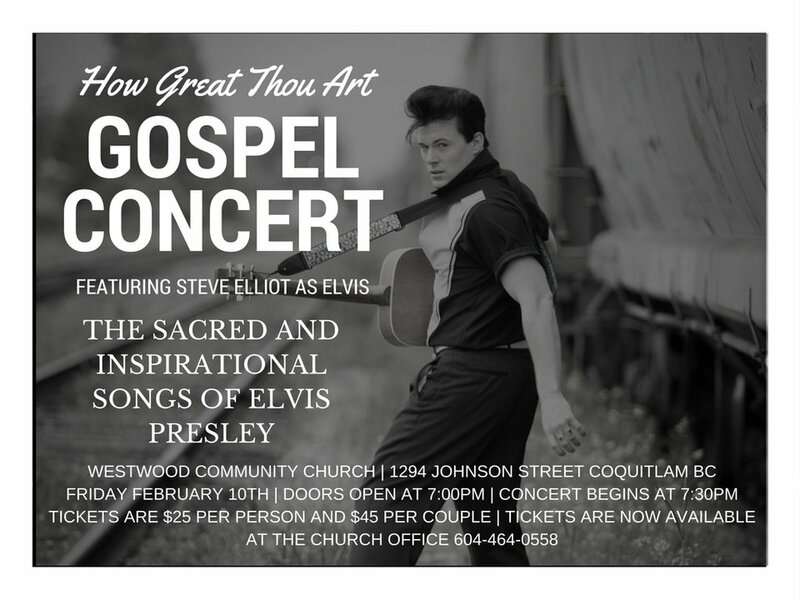 On Friday, February 10th, we'll be having a Gospel Concert featuring Steve Elliot as Elvis. Come join us for a special night to start this year's Valentine's weekend! 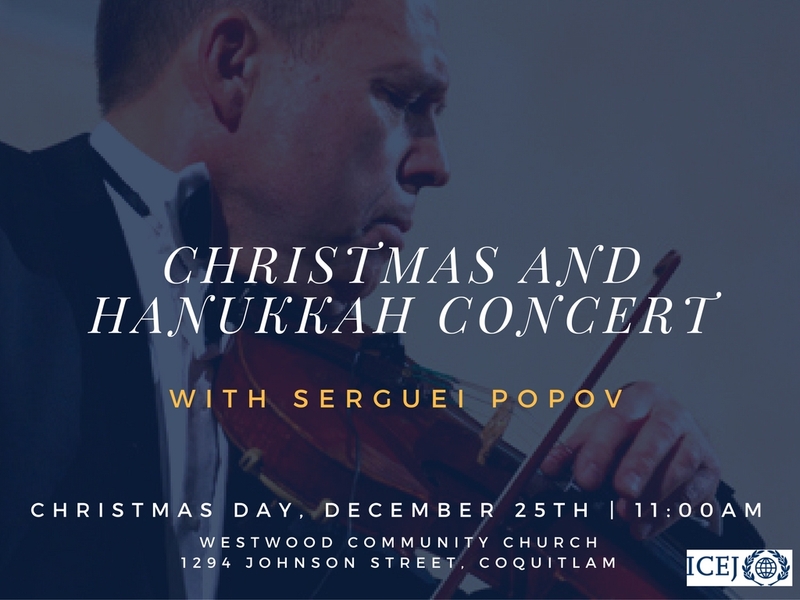 ​We will be having special guest violinist Serguei Popov performing at our Christmas and Hanukkah Concert. He has performed with many national symphonies at different events all over the world. You don't want to miss this exciting event! Tickets are available for purchase after the service at the back table. Limited seating is available so purchase your tickets as soon as possible! If you'd like to sign up, please come by the info table after the service. Feel free to bring a friend. 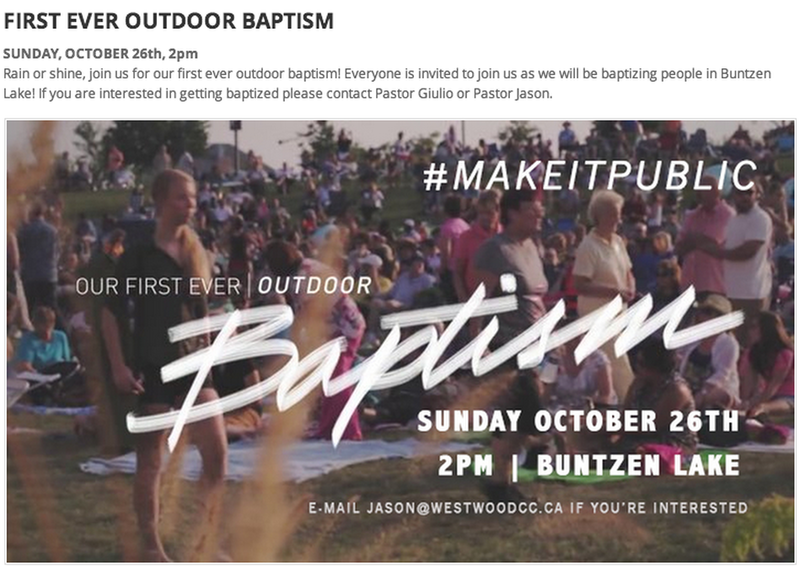 on september 25th we will be having an outdoor baptism. 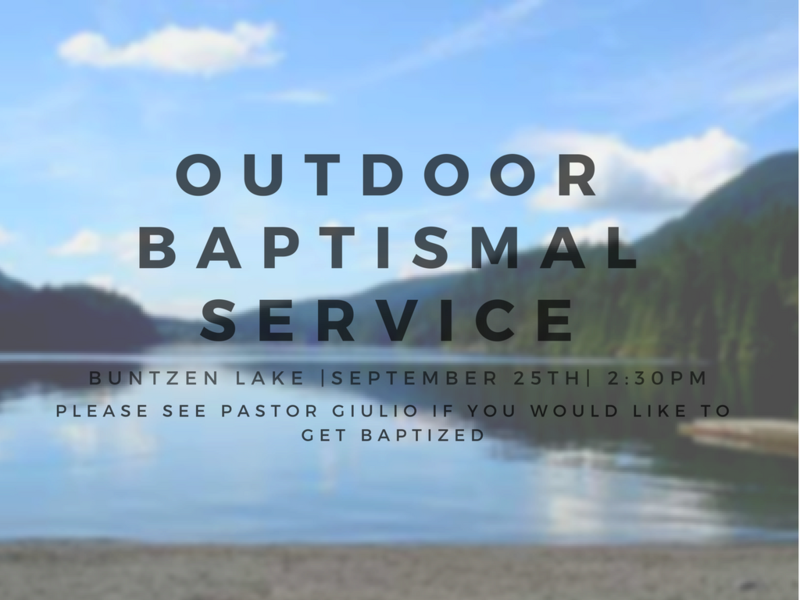 ​if you would like to get baptized please contact pastor giulio. Calling all ladies! 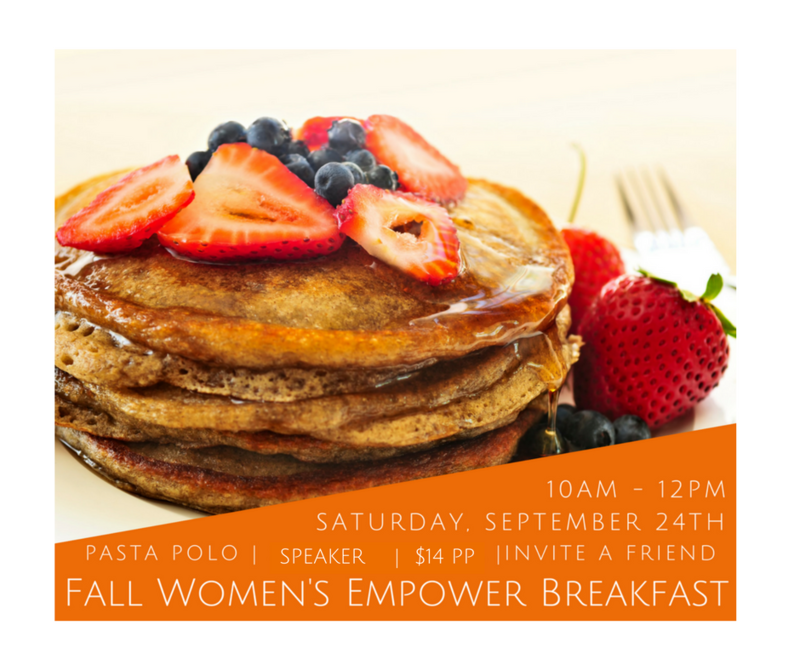 On Saturday September 24th we will be having our Women's Breakfast at 10am - 12pm. from our special speaker. It is $14PP, to sign up and pay please visit the info table. See you ladies there! Ground kids in the rock-solid foundation of God’s love, a love that takes us through life’s dark times! 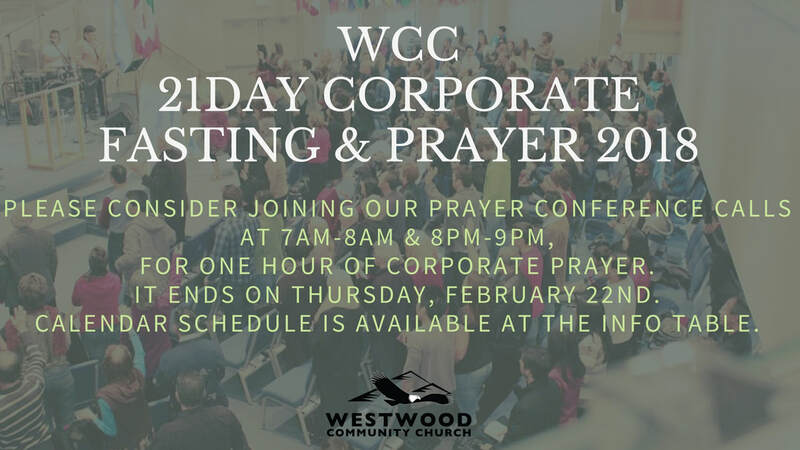 Join us for times of worship and prayer for the next 3 Sunday evenings during our corporate fast! 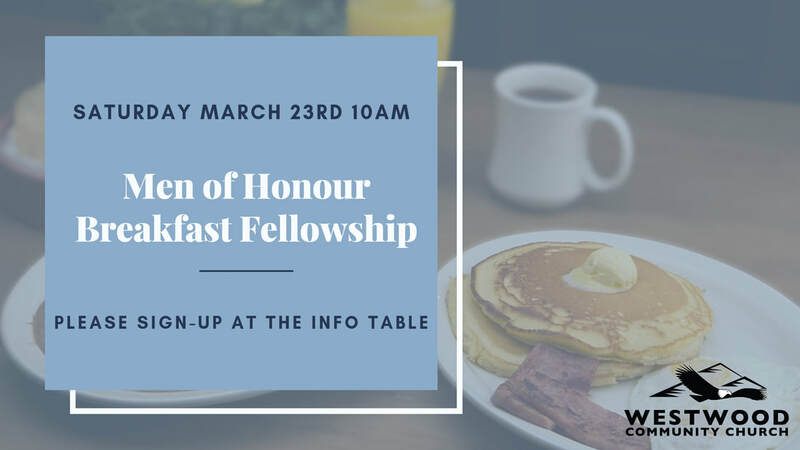 Guest Speakers: Stacey Campbell (Harvest International Ministries), Dr. Pat Francis (Kingdom Covenant Ministries), Patricia Bootsma (Catch the Fire Toronto Airport church), Marivick Perks (Be A Hero), and Lina Gabeli (Westwood Community Church). 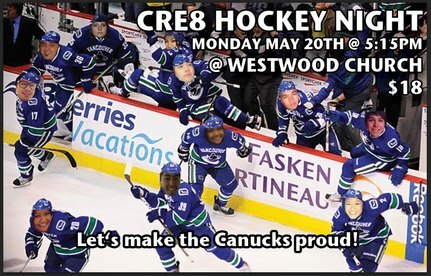 CRE8 Youth, Youth Church Vancouver, Surrey, and Burnaby will be spending a week at Camp Luther! 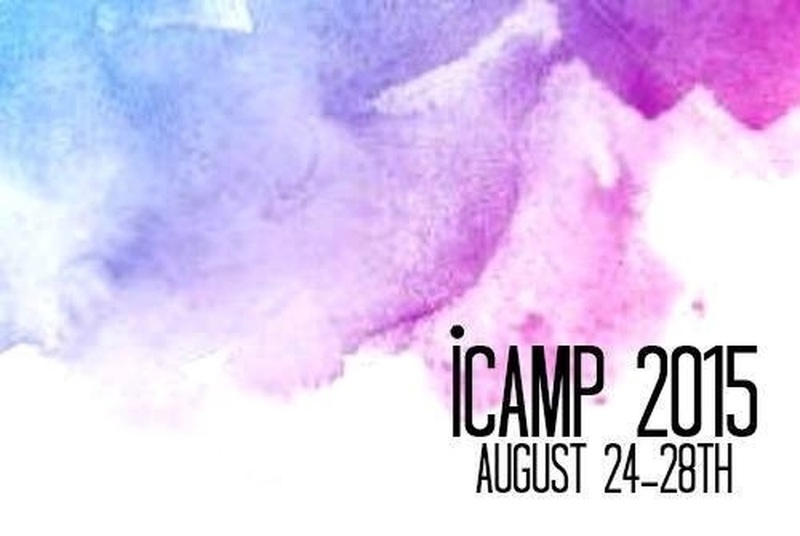 iCamp is for anyone ages 13-21 years old. 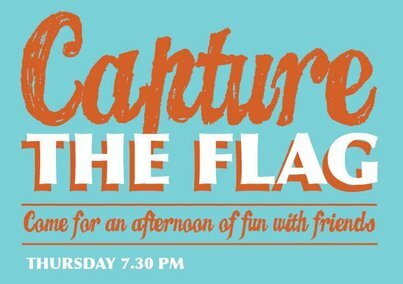 It will give you the opportunity to meet some great people, find out more about who Jesus is, and have a blast all at the same time! Join us! This Canada Day, Voices Together 2015 will be hosted at the Pacific Coliseum in Vancouver. Mark your calendars and stand with us to proclaim that Jesus is Lord over our city! 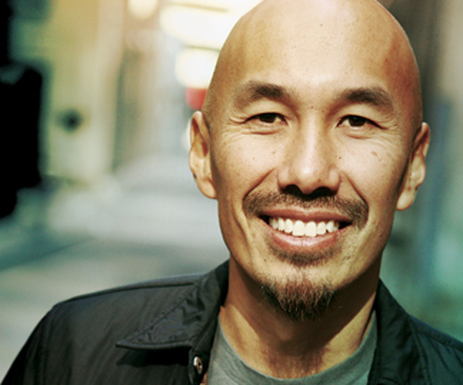 Francis Chan will be in Vancouver as our guest speaker, so be sure to grab a ticket from your local church! 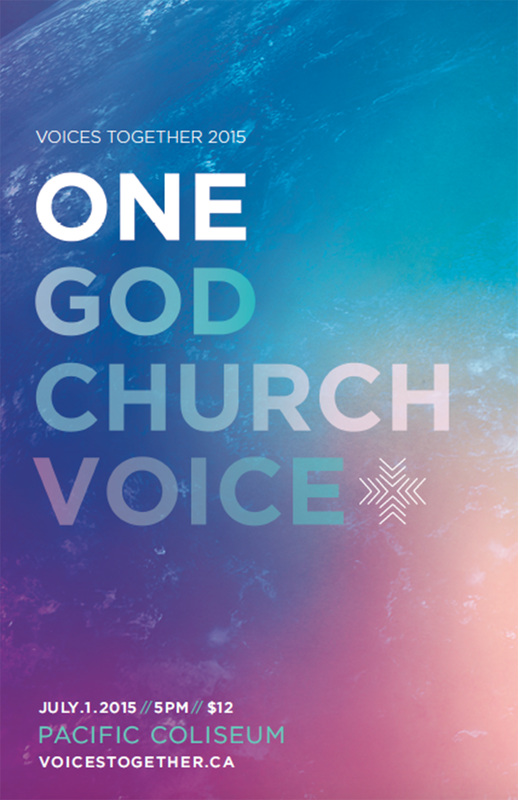 Voices Together 2015 from Westwood Community Church on Vimeo. 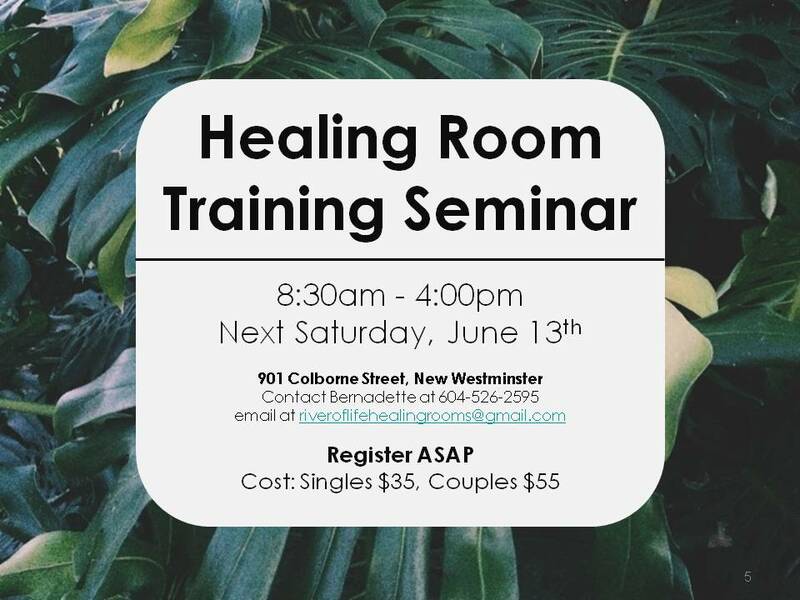 This healing room training seminar will be held on Saturday, June 13th by River of Life Healing Rooms starting at 8:30am to 4:00pm. 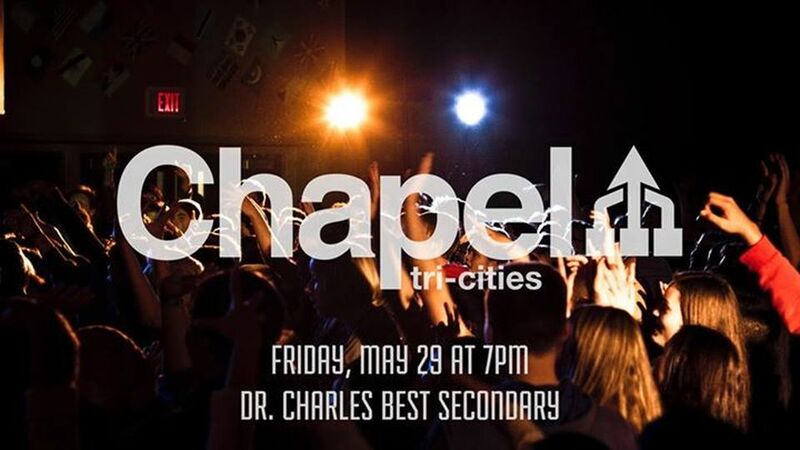 This will be the last Chapel at Charles Best Secondary for the semester. Spread the word and come celebrate what Jesus is doing in our city. Meet at WCC by 6:30 pm or meet us at Charles Best Secondary at 7:00 pm! Admission for Eyes & Wings is free, but spots are limited! Please bring your tickets with you! We will be collecting them at the door. Click HERE to register for the Be A Hero Missions' Luncheon online, and read more about our Speakers HERE. What is Eyes & Wings? 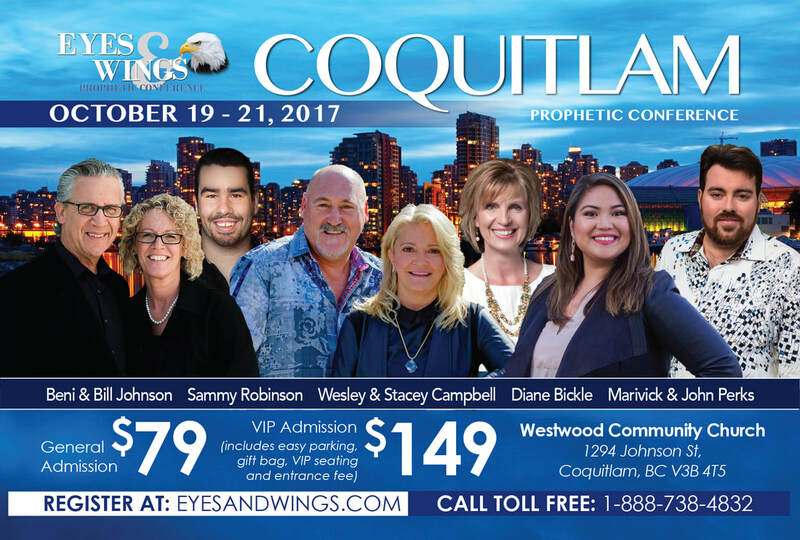 The Eyes & Wings Annual Prophetic Conference was first held in Kelowna, British Columbia, and by 2014, the conference has been launched all over North America. 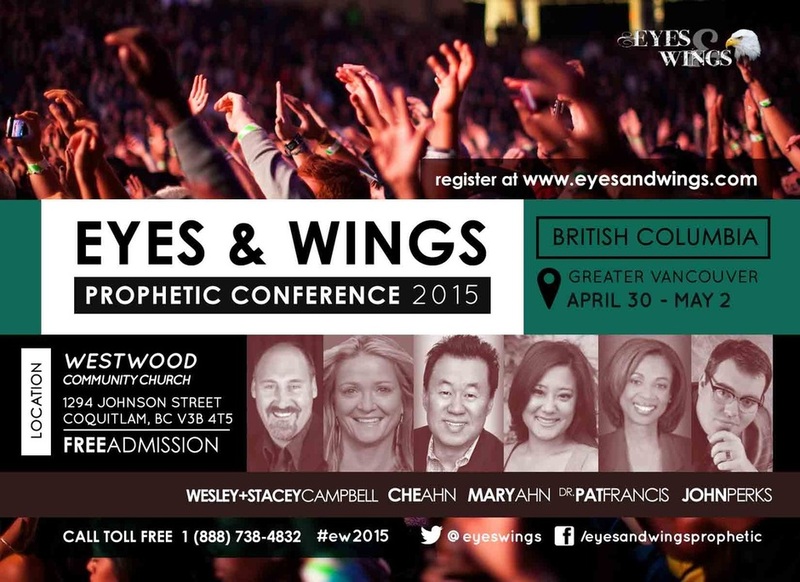 Eyes & Wings is named after a prophetic word, delivered in the early 2000’s by Stacey Campbell. The prophecy was an exhortation to build “containers for the times,” and consequently, Eyes & Wings Prophetic Conference was started so that we can hear what the Lord is saying for our times and glean strategy to build according to His divine blueprint. Calling out all of the women out there for this 4-week women's only study course! 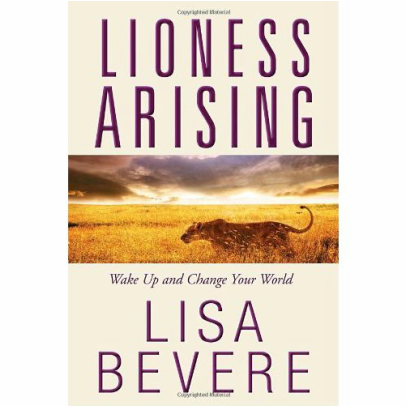 Rise up in strength and numbers to change your world and awaken the seeds of greatness God has placed inside of you! When: 4 sessions, Saturdays, March 28, April, 11th, April 18th, April 25th, starting at 10:30 am-1:00 pm. Our Deliverance Ministry Leader is offering a course on Prayer, Healing, and Deliverance AKA PHD! So come get your PHD this Saturday from 9 am - 4 pm at Westwood Community Church. We will be meeting in the Fellowship Hall and please contact the office to reserve your seat. There is a one-time fee of $75 for the resources to keep, and future classes are free. 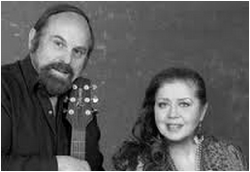 Welcome Ray Narula on Sunday, March 1st! Everyone welcome and be blessed! The WKND '15 Teaser from The City Church on Vimeo. CENTERED AROUND THE FACT THAT JESUS IS FOR ANYBODY AND EVERYBODY. It's always the highlight of the year. Registration and payment are due by January 31st. 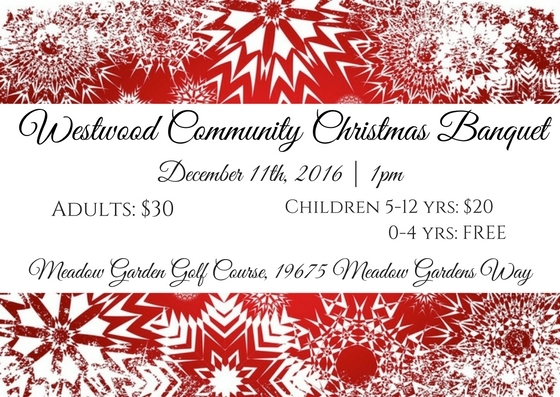 Please contact jason@westwoodcc.ca for registration. 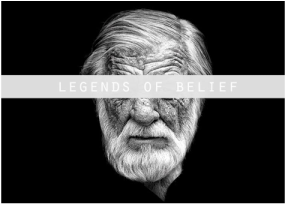 "We never know what we truly believe until its a matter of life or death." This Sunday morning we are really excited to be showing a powerful 30 minute short-film entitled Heaven, produced by the Billy Graham Evangelistic Association. This is a safe way to explore some deep and important questions about life, faith and heaven. We will begin the Sunday morning service at 10:30am and the short film itself will begin at 11:15am. at $45 each, available until February 4. Join us for our weekly corporate prayer and praise night during our annual corporate 21 Day Fast. 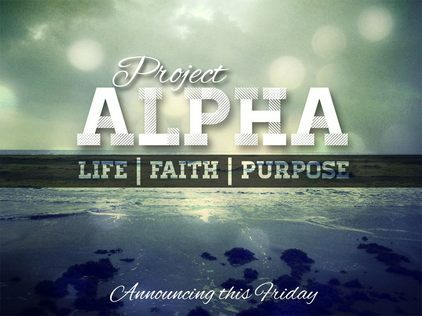 We are meeting every Friday this month at 730pm. As a church, we believe that fasting and prayer moves the heart of God. We are joining together to pray and fast for 21 days to seek God's face and to pray for revival in our church, community, city and nation. 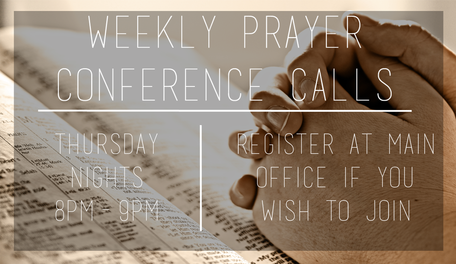 During these three weeks we will be having prayer conference calls from Monday-Friday, from 7am-8am and from 8pm-9pm. 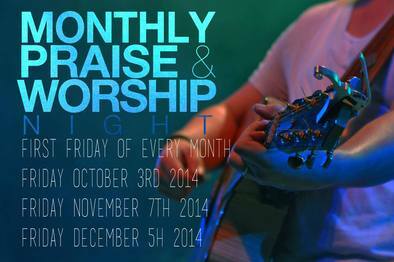 Additionally we will be having 3 worship and prayer nights on Friday, January 9th, 16th and 23rd. Please contact the office for the conference call phone number or any other details regarding the corporate fast or prayer calls. They will be ministering in song, sharing and there will be an opportunity for ‘questions and answers’. 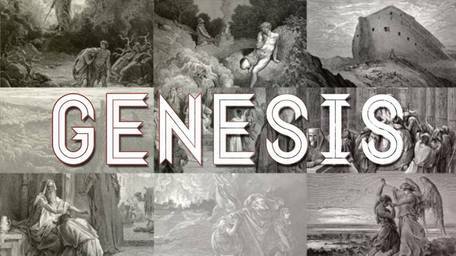 Are you interested in exploring the Jewish Roots of BIblical Christianity? This course is led by Bonnie Traversy, (ICEJ.org), Marty Shoub (www.return.co.il) and Pastor Giulio Gabeli. ICEJ has stood with Israel since 1980 from her capital Jerusalem fulfilling the Isaiah 40:1 scriptural mandate to bring comfort to Israel. This includes: Aliyah; Absorption; Haifa Home for Holocaust Survivors; Orphans, Children, Youth at Risk; Israel in Crisis: Bomb Shelters; Food for Needy Families; Education Seminars and Conferences; News, Media TV; Israel Tours; Young Adults Scholarships; Pro Israel Rallies; Isaiah 62 Prayer; Israel Answers; Partnerships including 'Christian Desk' of Yad Vashem and Knesset Christian Allies Caucus. 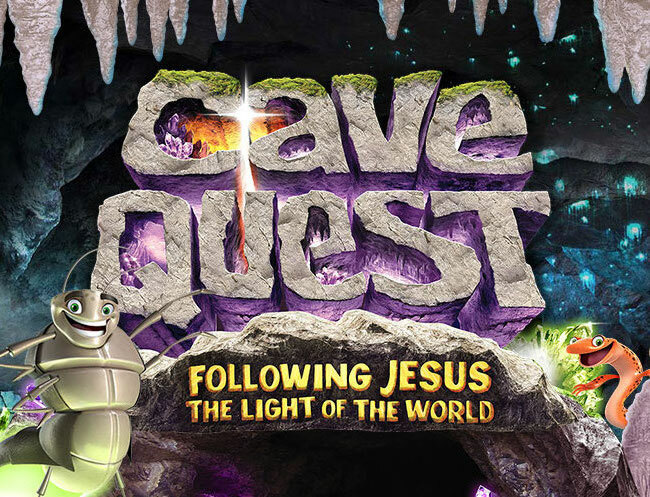 This movie will be playing downstairs in the Fellowship Hall during the Kids "Fall Fantastic" so bring the whole family! 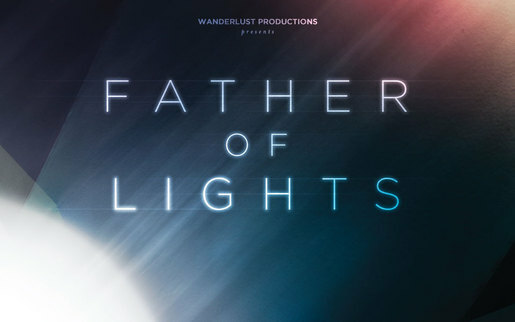 FREE SCREENING OF THE DOCUMENTARY "FATHER OF LIGHTS"
"Father of Lights is the much awaited sequel to the first two feature length documentaries by Wanderlust Productions. Following in the footsteps of Finger of God and Furious Love, prepare to be taken on a whole new journey with director Darren Wilson as he travels the globe in search of the very centre of the gospel and the heart of the Father of Lights." 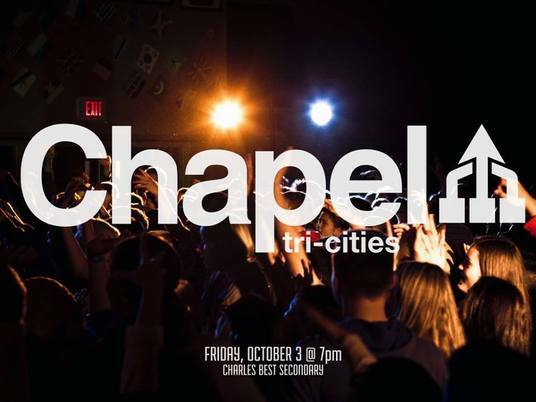 Chapel is a movement of young people united to worship Jesus. 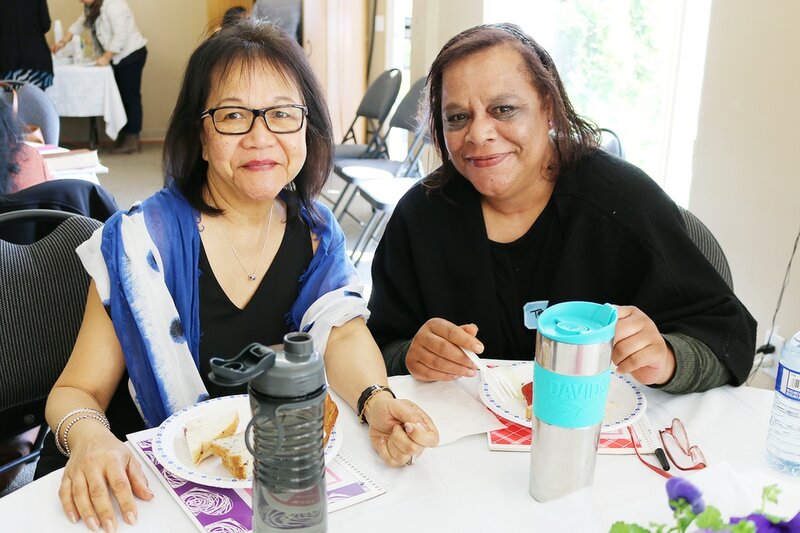 October 3rd marked the launch of both the Tri-Cities and North Vancouver locations. 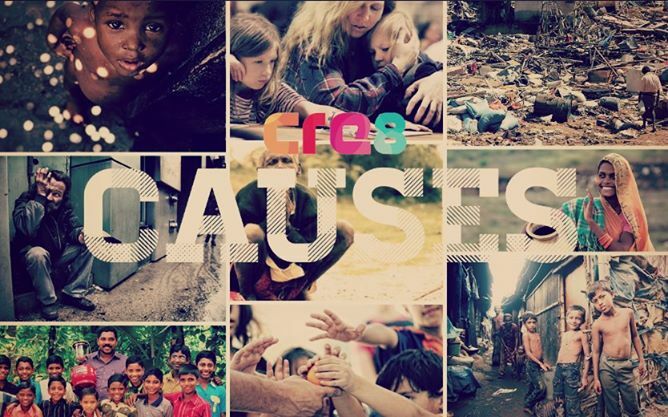 As CRE8 youth we are excited to partner with chapel to unite and worship with hundreds of other young people across our city and the Greater Vancouver Area.